Born 1895 at Beechworth, Vic, dau of Jas Broadfoot & Laura Falck (Vic reg 1895/26674). Marr reg 1921 in Victoria of Elsie Laura Sophia Broadfoot to Adam Cowling CLARKSON (Vic reg 9163). Birth reg of Adam Cowling Clarkson 1897 at Trafalgar, Vic, son of Ernest Edward Adam Clarkson & Mary (Lynch) (Vic reg 31783). Elsie was mentioned at the death of her father in 1938. Both in Electoral Roll in 1977 at Reservoir. Death reg of Adam Cowling Clarkson 1978 at Reservoir, son of Ernest Edward Clarkson & Mary (Lynch); age 80 (Vic reg 14473). Death reg of Elisie [sic] Laura Sophia Clarkson 1984 at Coburg, dau of James Broadfoot & Laura (Falk); born Beechworth; age 88 (Vic reg 1025). Born 1899 at Beechworth, Vic, dau of Jas Broadfoot & Laura Frank (Vic reg 1899/671). Marr reg 1918 in Victoria of Nellie Broadfoot to Maurice Studley MARTIN (Vic reg 7241). Birth reg of Maurice Studley Martin 1893 at Kew, son of William Martin & Franziska (Busch) (Vic reg 23776). Nellie was mentioned at the death of her father in 1938. Both in Electoral Roll in 1977 at Brunswick West. Maurice's death not found. Death reg of Nellie Martin 1986 at Kew, dau of James Broadfoot & Laura (Falck); born Beechworth, age 85 (Vic reg 4036). Born 1905 at Beechworth, Vic, son of Jas Broadfoot & Laura Falce (Vic reg 1905/683). Marr reg 1942 in Victoria of Harold Jas Lewis Broadfoot to Eira Melus PRICE (Vic reg 20672). Birth reg of Eira Melus Price 1907 at Maryborough, dau of Jno Hy Price & Julia Matda (Bowen) (Vic reg 28523). Death 1976 of Harold Jas Lou Broadfoot at "Park", Vic, aged 71, son of James & Laura Falck (Vic reg 1976/9537). Eira was in Electoral Roll in 1977 at Pascoe Vale. Eira's death not found. Birth reg of Doreen Edith Broadfoot 1912 at Beechworth, dau of Jas Broadfoot and Laura (Falck) (ref Vic reg 26383). Marr reg 1931 in Victoria of Doreen Edith Broadfoot to Frederick Walter MILLS (Vic reg 4757). Doreen was mentioned at the death of her father in 1938. Both in Electoral Roll in 1980 at Wangaratta. Born 1911 at Outtrim, Vic (Vic reg 5899). Marr reg in 1940 in Victoria of Jas Les Broadfoot to Mary Teresa MONAGHAN (Vic reg 3721). She was born in 1919 (ref family source). James died 16 Jul 1985 in Geelong, Vic (ref newspaper). Death reg of James Leslie Broadfoot 1985 at Geelong, son of Lisa [sic] Broadfoot & Ethel (Morrison); born Outtrim; age 74 (Vic reg 16859). Ref the Age, 18 July 1985. "On 16th July at Geelong Hospital, James Leslie, elder son of Ethel and John (both deceased). Loved brother of John and brother-in-law of Anna. Fond uncle of Margaret (Mrs. Walker) and Helen (Mrs. Chapman). At rest." Mary died in 2002 (ref family source). Born 1912 at Outtrim, Vic (Vic reg 23223). Born 18 Jul 1912 (ref family source). Marr 27 Aug 1938 to Ann Greer SMITH (also known as Anna). Marr reg 1938 in Victoria of John Grierson Broadfoot to Ann Green [sic-error] Smith (Vic reg 10881). She was born 23 Apr 1913 at Brunswick, Vic (ref family source). Birth reg 1913 at Brunswick North of Ann Greer Smith, dau of David Greer Smith & Emma (Bearlin) (Vic reg 10053). John died 30 Aug 1995 at Wantirna, Vic (ref family source). Ann died 12 Oct 2000 at Mitcham, Vic (ref family source). Birth reg of Chas Arthur Pitman 1880 in Victoria, son of Chas Wm Pitman and (unknown) Jones (Vic reg 16588). Birth of Charles Arthur Pitman 28 Jul 1880, bap 5 Dec 1880 at St Mary's, Melbourne, son of Charles William Pitman & Eleanor (ref Ancestry Australia Births & Baps). Marr reg 1908 in Victoria of Chas Pitman to Florence Alice CAREY (Vic reg 2548). Birth reg of Florence Alice Carey 1885 at "Meri", Victoria, dau of Henry Carey & Caroline Matthews (Vic reg 4565). Charles died 12 Jan 1927. Death reg of Charles Arthur Pitman 1927 in Victoria, son of Charles Arthur [error] Pitman & (unknown) Jones (Vic reg 2310). Death reg of Florence Alice Pitman 1967 at Prahran, Victoria, dau of Henry Carey & Caroline, age 81 (Vic reg 314). Birth reg of Ernest Godfrey Pitman 1883 at Hotham, Victoria, son of Charles William Pitman & Ellenor Jones (Vic reg 10203). Ernest died 26 May 1913. Birth reg of Ellinor Leonora Ada Pitman 1886 at Ascot Vale, Victoria, dau of Charles William Pitman & Ellinor Jones (Vic reg 15280). Marr reg 1918 at Sydney, New South Wales of Ellinor L.A. Pitman to Arthur FITZGERALD (NSW reg 165). Ellinor died on 23 Nov 1962 at Randwick (ref Ancestry Australia Cemetery Records). Birth reg of Hannah Agnes Pitman 1888 at Ascot Vale, Victoria, dau of Charles William Pitman & Ellinor Jones (Vic reg 26254). Marr reg 1912 in Victoria of Hannah Agnes Pitman to Charles Arthur MURRELL (Vic reg 6070). Death reg of Hannah Agnes Murrell 1942 in Victoria, dau of Charles William Pitman & (unknown) Jones (Vic reg 1152). Apart from son John Charles David, there were daughters Ellinor, Beatrice, Leonora and Gwladys Murrell, birth dates not found; Hannah died 1 Feb 1942 (ref Trove, The Argus, Tue 3 Feb 1942).. Birth reg of Beatrice Mary Pitman 1891 at Ascot Vale, Victoria, dau of Chas Wm Pitman & Ellinor Jones (Vic reg 18884). Marr reg 1917 in Tasmania of Beatrice Mary Pitman to James Dudley SEYMOUR (ref Tas reg 0812). Death reg of Beatrice Mary Seymour 1972 at Ivanhoe, Victoria age 81 , dau of Charles Pitman & Ellinor Jones (Vic reg 19637). Birth reg of Winifred Sarah Creaney 1884 in Victoria, dau of John Henry Creaney and (unknown) Jones (Vic reg 15955). Winifred was mentioned in the newpaper report of her mother Sarah's death in 1940 (ref Trove, The Argus, Sat 20 Jan 1940) and in the newspaper report of her father John's death in 1945 (ref Trove, The Argus, Wed 24 Oct 1945). Death reg of Winifred Sarah Creaney 1974 in Victoria, dau of John Henry Creaney and (unknown) Jones (Vic reg 748). "In loving memory of Sarah CREANEY died 17 Jan 1940 age 79 also John Henry beloved husband of above died 21 Oct 1945 age 86 yrs also Winifred Sarah CREANEY daughter of above died 26 Dec 1973 age 89 yrs." Birth reg of John Henry Ansel [sic] Creaney 1886 at Collingwood, Victoria, son of John Henry Creaney & Sarah Jones (Vic reg 17254). Death reg of John Henry Anselm Creaney 1886 at Collingwood, age 6 months, son of John Henry & Sarah Jones (Vic reg 12356). Birth reg of Harold John Creaney 1887 at Collingwood, Victoria, son of John Henry Creaney & Sarah Jones (Vic reg 27521). Harold enlisted in WW1 at the age of 26, servide number 27, next of kin J. H Creaney and signed up 19 Sep 1914 (ref Ancestry Australia World War 1 Service Records). After the war in 1919 Harold travelled widely around the world, records being found in England, New York, New Zealand, Seattle, Vancouver, (see Ancestry New York Passenger & Crew Lists & Washington Passenger & Crew Lists). He arrived in England on 2 May 1919 from Canada (ref Ancestry UK Incoming Passenger Lists). Marr reg Dec qtr 1919 at Lewisham dist, London of Harold J. Creaney to Ruby Grace WHITE (ref FreeBMD & birth). Birth reg of Ruby Grace White Mar qtr 1886 at Lewisham dist, London (ref FreeBMD). Harold and Ruby were living at Maribyrnong, Victoria in 1922 (ref Ancestry Electoral Roll). Harold had an Army career. Ruby travelled overseas in 1936 & 1937 - see various Ancestry shipping records. Harold was mentioned in the newpaper report of his mother Sarah's death in 1940 (ref Trove, The Argus, Sat 20 Jan 1940) and in the newspaper report of his father John's death in 1945 (ref Trove, The Argus, Wed 24 Oct 1945). Ruby died on 17 Jan 1956 in NSW. She was buried at Castle Hill General Cemetery (ref findagrave). Harold appeared in the 1963 Electoral Roll at Croydon, Malvern Hills, NSW. His death not found. Birth reg of Catherine Veronica Creaney 1892 at Collingwood, Victoria, dau of John Henry Creaney & Sarah Jones (Vic reg 2906). She was born 24 Jan 1892 (ref Ancestry NSW Public Service Lists). She was known as Vera by the family. Marr reg 1925 at Sydney, NSW of Catherine V. Creaney to George Frederick TAYLOR (NSW reg 5051 & marriage). The marriage was 8 Jun 1925 at Cathedral Church of St Andrew; George was age 35, son of George Taylor & Laura Ferris Taylor; Catherine was age 33, dau of John Henry Creaney & Sarah Creaney (ref Ancestry Sydney Anglican Parish Registers). George was born c1890. Vera was mentioned in the newpaper report of her mother Sarah's death in 1940 (ref Trove, The Argus, Sat 20 Jan 1940) and as Vera (Mrs. Taylor) in the newspaper report of her father John's death in 1945 (ref Trove, The Argus, Wed 24 Oct 1945). Birth reg of Mary Josine Robinson 1894 at Collingwood, Victoria, dau of Jos & Mary (Jones) (Vic reg 19653). Death reg of Mary Robinson 1894 in Victoria, dau of Jos & unknown Jones (Vic reg 11023). Birth reg 1890 at Brighton, Victoria, son of Wm Humphrey Broadstock & Grace Jones (Vic reg 10091). Marr reg 1924 in Victoria of Henry Allan Broadstock to Emily HOCKADAY (Vic reg 11774). Birth reg of Emily Hockaday 1885 at Fitzroy Victoria, dau of Thomas Hockaday & Mary Ann Wright (Vic reg 2434). Death reg of Henry Allan Broadstock 1963 in Victoria, age 73, son of William Humphrey Broadstock & Grace Jones (Vic reg 6227). Henry died 29 Mar 1963 at Brighton, occupation Gentleman, Grant Date 26 Jul 1963 (ref Ancestry Victoria Wills & Probate Records). Death reg of Emily Broadstock 1968 at Mentone, Victoria,age 83, dau of Thomas Hockaday & Mary Ann Wright (Vic reg 13194). Emily died 10 Jun 1968 at Moorabbin, Widow, Grant Date 26 Nov 1968 (ref Ancestry Victoria Wills & Probate Records). Birth reg of Eleanor Grace Broadstock 1892 at Brighton, Victoria, dau of Wm Aled [sic] Broadstock & Grace (?) (Vic reg 10819). Death reg of Eleanor Grace Broadstock 1909 at Brighton, Victoria, age 17, dau of Wm Humphrey Broadstock & Grace Jones (Vic reg 7647). Eleanor died on 24 Aug 1909 (ref newspaper). "DEATHS. - BROADSTOCK.- On the 24th August, at Ferguson-street, Brighton, Ellinor Grace (Nellie), dearly beloved only daughter of William and Grace Broadstock, aged 17 years and 5 months. At rest." (ref The Age, Wed 25 Aug 1909). Birth reg 1891 at North Fitzroy, Vic, son of Alfd Groves & Elzth Jones (Vic reg 22790 as Alfd Gordon). Marr reg 1918 in Victoria of Gordon Alfred Groves to Gladys Josephine JELLETT (Vic reg 1578). Birth reg of Gladys Josephine Jellett 1898 at Essendon, dau of John Eli Jellett & Josephine Frances (Scarth) (Vic reg 10762). Death reg of Gordon Alfred Groves 1929 at Fitzroy, son of Alfd Groves and Elizth Jones, age 37 (Vic reg 5130). Gordon (dec.) was mentioned at the death of his brother Harold William (William Ebenezer Harold Groves) in 1968. Death reg of Gladys Josephine Groves 1970 at Ivanhoe, dau of John E Jellett and Josephine (Scarth) age 72 (Vic reg 2199). Birth reg of Annie Hilda Groves 1893 at Brunswick, Vic, dau of Alfred Groves & Elizabeth Jones (Vic reg 20028). Marr reg 1917 in Victoria of Hilda Annie Groves to Frederick Walter DENNIS (Vic reg 8880). Birth reg of Frederick Walter Dennis 1895 at Northcote, son of Wm Jas Dennis & Mary (Murphy) (Vic reg 14839). Hilda (Mrs. Dennis) was mentioned at the death of her brother Harold William (William Ebenezer Harold Groves) in 1968. Death reg of Frederick Walter Dennis 1976 at Parkville, son of William James Dennis & Mary (Murphy), age 81 (Vic reg 24244). Death reg of Hilda Annie Dennis 1977 at Fitzroy, dau of Alfred Groves & Elizabeth (Jones) age 84 (Vic reg 24182). Birth of William Ebenezer Harold Groves 1894 at Carlton, Vic, son of Alf Groves & Elzth Evans Jones (Vic reg 9561). William Ebenezer Harold (Harold William) died 30 Sep 1968. Birth reg of Mabel Elizth Groves 1895 at Fitzroy, Vic, dau of Alf Groves & Elizth Jones (Vic reg 12137). Marr 1920 in Victoria of Mabel Elizth Groves to William Kent BROWN (Vic reg 6810). Birth reg of Wm Kent Brown 1894 at Melbourne West, son of Wm Waterhouse Brown & Elizabeth (Mensforth) (Vic reg 14008). Death reg of Mabel Elizabeth Brown 1957 at Melbourne, dau of Alfred Groves & Elizabeth (unknown), born Carlton, age 61 (Vic reg 3990). Mabel (Mrs. Brown, dec.) was mentioned at the death of her brother Harold William (William Ebenezer Harold Groves) in 1968. Death reg of William Kent Brown 1980 at Preston, son of William Waterhouse Brown and Elizabeth Mensford, born Collingwood (Vic reg 11402). Birth reg of Lillian Rose Groves 1900 at Carlton, Vic, dau of Alf Groves & Elizth Jones (Vic reg 9534). Death of Liln Rose Groves 1923 at Northcote, dau of Alfred Groves & Elizth Evans Jones, aged 23 (Vic reg 7343). Lillian was included in a memorial transcript with her parents at Coburg Cemetery. Lily (dec.) was mentioned at the death of her brother Harold William (William Ebenezer Harold Groves) in 1968. Birth reg of Alfd Leopold Groves 1902 at Fitzroy, Vic, son of Alf Groves & Elizth Jones (Vic reg 26117). Marr reg 1925 in Victoria of Alfred Leopold Groves to Agnes Maria GARING (Vic reg 9926). Birth reg of Agnes Maria Garing 1901 at Corryong, dau of Edwin Garing & Grace Mary (Mildren) (Vic reg 10435). Alfred was mentioned at the death of his brother Harold William (William Ebenezer Harold Groves) in 1968. In 1968 census they were living at Northcote together. Death reg of Alfred Leopold Groves 1970 at Blairgowrie, son of John Groves & Mary Ann (Jones), age 68 (Vic reg 18317). Death reg of Agnes Maria Groves 1985 at Heidelberg, dau of Edwin Garing & Grace Mary (Mildren), born Mount Elliott, age 83 (Vic reg 12788). Birth reg of Wm James Fitzpatrick 1900 at Mt. Lyell, Tasmania, son of Jas Jos Fitzpatrick & Annie (ref Ancestry Australia Birth Index, reg 1279). Born 6 Feb 1900 (ref Ancestry Australia WW1 War Service Records). Married Eileen Agnes JONES (her name at death of their son Harold); date not found; she was born c1899 (ref death). .
Death reg of William James Fitzpatrick 1963 at Heidelberg, Victoria, son of James Joseph Fitzpatrick and Ann Jones, born Melbourne, age 63 (Vic reg 4179). William James Fitzpatrick died 23 Feb 1963 at Oakleigh; Brewery Employee; Grant Date 20 May 1964 (ref Ancestry Victoria Wills & Probate Records). Death of Eileen Agnes Fitzpatrick 21 Jun 1987 age 88 (ref family source, picture of grave). Birth reg of Margaret Theresa Fitzpatrick 1903 at Richmond, Victoria, dau of James Joseph Fitzpatrick & Annie Jones (Vic reg 20800). Marriage ref 1935 in Victoria of Margaret Teresa Fitzpatrick to Benjamin Harold LANE (Vic reg 12367). Margaret (Mrs. B. Lane) was mentioned at the death of her father in 1937. Death reg of Margaret Theresa Lane 1965 at Heidelberg, Victoria, dau of James Joseph Fitzpatrick & Annie Jones, born Richmond (Vic reg 23135). Margaret died 15 Oct 1965 age 62 (ref family source). Margaret was buried at Brighton General Cemetery (ref findagrave). Birth reg of Annie Mary Josephine Fitzpatrick 1907 at Richmond, Victoria, dau of James Joseph Fitzpatrick & Annie Jones (Vic reg 29826). Marr reg 1937 in Victoria of Anne Mary Fitzpatrick to Fran Herbt ANDERSON [sic] (Vic reg 5455). At least from 1937 to 1977 in Electoral Rolls, his name was Francis Herbert ANDERSEN. Annie ("Mrs. F. Anderson" [sic] ) was mentioned at the death of her father in 1937. Death of Francis Herbert Andersen 28 Jun 1995, born 1 Dec 1906, buried at Cheltenham Memorial Cemetery (ref findagrave, see memorial). Death of Anne Mary Josephine Andersen 16 May 2009 (aged 101), born 20 Sep 1907, buried at Cheltenham Memorial Cemetery (ref findagrave, see memorial). Birth reg of James Joseph Fitzpatrick 1909 at Richmond, Victoria, son of James Joseph Fitzpatrick & Annie Jones (Vic reg 22437). James was mentioned at the death of his father in 1937. Birth reg of Bartholomew Fitzpatrick 1911 at Richmond, Victoria, son of James Joseph Fitzpatrick & Annie Jones (Vic reg 31546). Born 23 Sep 1911 (ref family source). Marr reg 1936 in Victoria, Aus of Bartholomew Fitzpatrick to Amy LINTON (Vic reg 5026). Adeline Amy (Amy) Burkinshaw LINTON was born 4 Sep 1911 (ref family source). Bartholomew was mentioned at the death of his father in 1937. Bartholomew died 25 Jun 1990 (ref family source). Adeline Amy Burkinshaw Fitzpatrick died 25 Feb 2006 at Mornington, Widow, Grant Date 8 Jun 2006 (ref Ancestry Victoria Wills & Probate Records). They were both buried at Frankston Cemetery (ref family source). Birth reg of Myrtle Fitzpatrick 1914 at Richmond, Victoria, dau of James Joseph Fitzpatrick & Annie Jones (Vic reg 34907). Death reg of Myrtle Mary Fitzpatrick 1936 at Brighton North, Victoria, dau of James Joseph Fitzpatrick & Annie Jones, age 21, born Richmond (Vic reg 8682). Myrtle died 12 Sep 1936 and was buried at Brighton Cemetery (ref family source). Myrtle (deceased) was mentioned at the death of her father in 1937. Birth reg of George Leslie Goullet 1898 at Richmond, Victoria, son of Geo Hamilton Goullet & Cath Greirson [sic] Jones (Vic reg 13945). Death reg of George Leslie Goullet 1931 at Cheltenham, Victoria, son of George Hamilton Goullet & Edith [error] Jones (Vic reg 13387). George died 28 Oct 1931 (ref newspaper). George was buried at Box Hill Cemetery (ref findagrave and funeral notice in same newspaper). Birth reg of Albert Edward Goullet 1899 at Richmond, Victoria, son of Geo Hamilton Bahn [sic] Goullet & Cath Grierson Jones (Vic reg 29486). Albert was mentioned at death of his brother George in 1931. Marr reg 1935 in Victoria of Albert Edward Goullet to Alfreda Grace Huege DE SERVILLE (or Von De Serville) (Vic reg 152). Birth reg of Alfreda Grace Huege Von Serville 1910 at Bendigo, Victoria, dau of Rudolph Huege Von Serville and Daisy Jenkinson (Vic reg 747). There are alternate versions of the sername being De Serville or Von Serville or Von De Serville. Death reg of Alfreda Grace Goullet 1966 at Heidelberg, Victoria, dau of Rudolph Huege Von Serville & Daisy Jenkinson, age 56 (Vic reg 27708). Birth reg of Alexander Bampton Goullet 1902 at Richmond, Victoria, son of Geo Hamilton Goullet & Cath Grierson Jones (Vic reg 5618). Alex was mentioned at death of his brother George in 1931. Death reg of Alexander Bampton Goullet 1969 at Fitzroy, Victoria, son of George Hamilton Goullet and Catherine Jones, age 67 (Vic reg 12295). Birth reg of Ralph Augustus Goullet 1904 at Richmond, Victoria, son of Geo Hamilton Da Goullet & Cath Grierson Jones (Vic reg 5674). Marr reg 1928 in Victoria of Ralph Augustus Goullet to Veronica Bertha MORCE (Vic reg 3614). Ralph was mentioned at death of his brother George in 1931. Birth reg of Laurence Bert Goullet 1907 at Richmond, Victoria, son of Geo Hamilton Goullet & Cath Grierson Jones (Vic reg 13744). Laurie was mentioned at death of his brother George in 1931. Marr reg 1934 in Victoria of Laurence Bertrand Goullet to Evelyn Stella MOORE (Vic reg 160). Birth reg of Grace Broadfoot Amor Jones 1903 at Clifton Hill, Victoria, dau of William Ebenezer Jones & Rosina May Robinson (Vic reg 16917). Marr reg 1922 in Victoria of Grace Broadfoot Amor Jones to Victor John BATSON (Vic reg 8710). Birth reg of Victor John Batson 1900 at Shepparton, Victoria, Aus, son of Christina [Ctina] Batson (Vic reg 14378). Death reg of Victor John Batson 1969 at Preston, Victoria, Aus, his mother's maiden name Christina Batson, age 69 (Vic reg 14849). Death of Victor John batson 26 Jun 1969 at Preston, Retired, Grant date 25 Aug 1969 (ref Ancestry Victoria Wills & Probate Records). Death reg of Grace Broadfoot Amor Batson 1985 at West Preston, Victoria, dau of Rosena May Robinson & William Ebenezer Jones; born Clifton Hill (Vic reg 21631). Death of Grace Broadfoot A. Batson 31 Aug 1985 at West Preston, Widow, Grant date 9 Oct 1985 (ref Ancestry Victoria Wills & Probate Records). Birth reg of Myrtle Rose Jones 1908 at Clifton Hill, Victoria, dau of William Ebenezer Jones & Rosina May Robinson (Vic reg 25892). Birth reg of Alma Gerte Jones 1913 at Clifton Hill, Victoria, dau of William Ebenezer Jones & Rosina May Robinson (Vic reg 29795). Birth reg of Gladys May Jones 1916 at Clifton Hill, Victoria, dau of William Ebenezer Jones & Rosina May Robinson (Vic reg 28291). Birth reg of Ethel Lillian Hook 1912 at Fitzroy, Victoria, dau of Alf Hudson Hook & Lilian Rose Jones (Vic reg 11608). Marr reg 1940 in Victoria of Ethel Liln Hook to Thomas Michael CONDON (Vic reg 21336). In 1941 Ethel (Mrs. Condon) was mentioned at the death of her mother. Birth reg of Doris May Hook 1914 at East Melbourne, Victoria, dau of Alfd Hudson Hook & Lillian Rose Jones (Vic reg 14614). In 1941 Doris was mentioned at the death of her mother. Marr reg 1941 in Victoria of Lillian Rose Hook to George ALLEN (Vic reg 5998). In 1941 Lillian (Mrs. Allen) was mentioned at the death of her mother. Known as Jock [John(5)]. Occupation Bank Officer, State Savings Bank of Victoria. Born 15 Dec 1910 at Richmond (Vic reg 6385). Marr 7 May 1936 at Holy Trinity Church, Kew to Katharine Beatrice SERLE. She was born 29 Dec 1911 at Hawthorn (Vic reg 4162 of 1912), dau of Percival Serle and Dora Beatrice Hake. Betty died 19 Aug 1958 at Kew (Vic reg 9958). Jock died 22 Sep 1985 at Kew (Vic reg 24002). Both are buried at Boroondara Cem, Kew (Special A Row A 0031). Issue 3 children from 1938 to 1942 including ELIZABETH SHADE (nee GRIERSON). Died 23 Sep 1995, buried 27 Sep 1995 at Fawkner Crem (with his mother and father). Born 26 May 1905 (Army WW2 website). Birth reg 1905 at Richmond, Vic (Vic reg 21081). Married (1) Ruby Lavinia BRADFORD; marriage reg 1926 in Victoria (Vic reg 7256) The marriage was 22 Jul 1926 (see newspaper). Birth reg of Ruby Lavinia McKenzie Bradford 1906 in Brunswick, Vic, dau of Albert John Bradford and Janet (Dunsmore) (Vic reg 16474). They were divorced in 1936. Marriage of Ruby Lavinia Grierson 1936 in Victoria to Giuseppe NOLI (Vic reg 9906). William married (2) Lucy Florence ADCOCK; marriage reg 1937 in Victoria (Vic reg 7303) with whom he had 14 children. William served in WW2 - Spr W.R.Grierson 2/8 Field Coy R.A.E. 6th DIV.A.I.F. Abroad (ref WW2 web site). Address 1962, 1982: 9 Orange Court, West Heidelberg. Deaths for William and Lucy not found. Marr reg 1926 in Victoria of Hilda Florence Grierson to Frederick Thomas MITCHELL (Vic reg 10206). Birth reg of Frederick Thomas Mitchell 1901 at Collingwood, son of Frederick John Gervin Mitchell and Margaret Jean (Torode) (Vic reg 18354). Death reg of Frederick Thomas Mitchell 1957 at Preston; son of Frederick John Mitchell & Margaret (Torode); born Collingwood; age 56 (ref Vic reg 4008). Frederick was interred at Fawkner Crem on 5 Apr 1957 (ref Fawkner records). Hilda died Oct 1974 (death reg not found), interred 23 Oct 1974 at Fawkner Crem (ref Fawkner records). Born 12 Oct 1909; birth reg 1909 at Richmond, Victoria, son of William Joseph Grierson & Eva Eliza (Harrison) (Vic reg 30450). Marr reg 1938 in Victoria of Ronald Harrison Grierson to Gladys Ruby PEARSON (Vic reg 9715). The marriage was 17 Sep 1938 (see newspaper). Birth reg of Gladys Ruby Pearson 1913 at Northcote, Victoria; dau of James Pearson & Elsie May (Cooper) (Vic reg 24749); she was born 25 Sep 1913 (ref burial). "Grierson - Pearson. At the Holy Trinity Church, Shaftesbury parade, Thornbury, on Saturday, the wedding was celebrated of Miss Gladys Ruby Pearson and Mr. Ronald Harrison Grierson. The Rev. W. H. Chamberlain performed the ceremony. He served in WW2, Service Number 57805 RAAF. Ronald died 5 Jul 1998; service 9 Jul 1998 at Fawkner Crem (ref Fawkner records). Gladys died 10 May 2005; service 13 May 2005 at Fawkner Crem; born 25 Sep 1913 (ref Fawkner records). Born 20 Aug 1913; birth reg 1913 at Richmond,Victoria, son of Wm Jos Grierson & Eva Eliza Harrison (Vic reg 25601). Marr reg 1941 in Victoria of Kenneth John Grierson to Kathleen GOODSON (Vic reg 16742). She was born 8 July 1921 (ref death). His war record includes the following: Kenneth Grierson, Service Australian Army, Service Number V142448. Date of birth 20 Aug 1913, place of birth Richmond Vic. Date of enlistment 18 Mar 1941, locality Preston. Next of kin William Grierson. Date of discharge 12 Dec 1945, rank Private. Posting at discharge 28 Australian Camp Hospital. Death of Kathleen Grierson 1 Aug 2012; born 8 July 1921; service 10 Aug 2012, crem at Springvale; age 91 (ref Springvale online index). Issue 2 children. Kenneth's death not found. Born 27 Sep 1916 (ref WW2 website). Birth reg 1916 at Richmond, Victoria (Vic reg 32885). Army records exist for WW2 service, No. VX3563. Marr reg 1942 in Victoria of Frederick George Grierson to Evelyn Dorothy Mabel THOMPSON (Vic reg 14806). She was born 16 Oct 1921 (ref her death). Fred died 26 Oct 1974. For unknown reason, the death was reg 1975 of Frederick George, son of William Joseph & Eva Eliza (Harrison) at Parkville age 58 (Vic reg 7420 of 1975). He died at Royal Melb Hospital, Parkville, as result of accident according to a notice in the Age at the time. Frederick was crem 29 Oct 1974 at Fawkner Crem (ref Fawkner records online). Evelyn died 10 Aug 2011 and was crem at Fawkner 18 Aug 2011; she was born 16 Oct 1921 (ref Fawkner online records). Born 1920 at Richmond, Victoria (Vic reg 35002). Death registration of Charles Ernest Grierson 1920 at Richmond, Vic, son of Wm Josh Grierson & Eva Eliza (Harrison) (Vic reg 16227). Buried 21 Dec 1920 at Fawkner, Church of England (ref Fawkner records). Born 6 Apr 1925, Melbourne,Victoria (ref army records). His army records include "Harold Grierson. Service Royal Australian Air Force, Service number 146614. Date of birth 6 Apr 1925, place of birth Melbourne, Vic. Date of enlistment 20 Jan 1944, locality on enlistment Preston. Place of enlistment Melbourne, VIc. Next of kin William Grierson. Date of discharge 26 Feb 1946, rank Leading Aircraftman. Posting at discharge station HQ East Sale"
Married Margarete Isobel, surname unknown (known as Rita), after 1946. Electoral roll: Margarete Isobel B. Grierson & Harold Grierson, 52 Troy Street Carrum, 1954; alone there in 1963 (engineer). Harold continues at this address through to 1980 (the last record available). Born 22 Nov 1893 at New Castle, Pennsylvania, US (ref Death Cert). Ref 1900 US Census. Address: Newcastle Ward 5, Lawrence, Pennsylvania. Alfred T Sadler. Son. Age 6. Born Nov 1893. Born Pennsylvania. At school. Ref 1910 US Census. Address: New Castle Ward 5, Lawrence, Pennsylvania. Alfred T Sadler. Son. Age 16. Born Pennsylvania. Checker Tin Mill. Marriage 20 Oct 1915 at Lawrence County, Pennsylvania of Alfred T. Sadler to Nelle Lucretia WESTLAKE (ref Ancestry Pennsylvania Marriages, as Alfred I, and Nelle). Middle name Lucretia from an APT. She was born 1893 in Ohio, and her home in 1910 was with her parents, James J & Eliza E Westlake at New Castle Ward 3, Lawrence, Pennsylvania (ref 1910 census). Some records spell her name Nellie. Ref 1920 US Census. Address: North Ray St, New Castle Ward 3, Lawrence, Pennsylvania. Alfred T Sadler. Head. Age 26. Born Pennsylvania. Office Clerk Tin Mill. Nelle L Sadler. Wife. Age 26. Born Ohio. Ref 1930 US Census. Address: Fairfield Avenue, New Castle, Lawrence, Pennsylvania. Alfred T Sadler. Age 36. Mar at 22 yrs. Born Pennsylvania. Bank Teller. Nellie L Sadler. Age 36. Mar at 22 yrs. Born Ohio. Ref 1940 US Census. Address: New Castle, Lawrence, Pennsylvania. Alfred T Sadler. Head. Age 46. Mar. Born Pennsylvania. Teller, Bank. Nell W Sadler. Wife. Age 46. Mar. Born Ohio. Alfred T Sadler. Son. Age 22. Single. Repairman, Telephone Co. Born Pennsylvania. Susan Sadler. Dau. Age 20. Single. Operator, Telephone Co. Born Pennsylvania. Death reg of Alfred Thomas Sadler Sr, died 16 Mar 1957 at New Castle, Lawrence, Pennsylvania, USA, born 22 Nov 1893 at New Castle, Pennsylvania, son of Thomas Sadler & Alice Lewis, spouse Nelle Westlake Sadler (ref Ancestry Pennsylvania Deaths #24326). See also his US Social Security Applications and Claims Index entry in Ancestry which as the same dates. Obituary of Alfred Thomas Sadler Sr from The New Castle News, New Castle, Pennsylvania, dated Monday March 18th 1957. "ALFRED SADLER DIED SUDDENLY - SERVED UNION TRUST BANK FOR 33 YEARS. Alfred Thomas Sadler, Sr., 63, 120 E. Wallace Ave, a long time official of the Union Trust Co., died at his home Saturday at 4 p.m. following an illness of a heart condition. Although he had been away from his banking duties for a short while, his death came unexpectedly, following a recurrence of a heart condition which he had suffered several years ago. Mr. Sadler had served the Union Trust Co. for the past 33 years in a number of official positions. His last position was as treasurer of the downtown bank. Mr. Sadler was a member of the Central Presbyterian Church where he had been an elder from 1938 to 1953. He was a member of Mahoning Lodge No. 243 F. and A M., life member Valley of New Castle Consistory, AASR, life member Lawrence Commandery No. 62, Kinghts Templar, Hiram Council No. 45, Delta Royal Arch Chapter No. 170. For the past 42 years, he was married to Nellie Westlake Sadler who survives him. In addition to his widow, he leaves one daughter, Mrs. Frank Kelo, this city; one son Alfred T. Sadler Jr., Aliqquippa, two brothers, Hubert Sadler, this city, Maurice Sadler, Salem, Ohio, two sisters, Mrs Morris Webb, Woodbury, New Jersey; Mrs Marshall Whitacre, Elyna, Ohio; six grandchildren. Two brothers Clarence H and Thomas Sadler preceded him in death. Services will be held tomorrow at 2 p.m. from the Boyd-Myers Home for Funerals, 208 N. Jefferson Street, with his pastor, Henry B. Strock, Jr., in charge. Interment will be in Oak View Cemetery." Nelle died about 1971 and her obituary was published at Lawrence, Pennsylvania (ref Ancestry Pennsylvania Obituary Index). Born 21 Feb 1897 at New Castle, Pennsylvania (ref his Death Cert). Maurice S Sadler. Son. Age 3. Born Feb 1897. Born Pennsylvania. Morris S Sadler. Son. Age 13. Born Pennsylvania. Married Harriet HARRIS. She was born 27 Jan 1894 at Pittsburgh, Pennsylvania (ref her Death Cert). She was dau of William H. Harris & Harriet Williams, both born in Wales. Ref 1920 US Census. Address: Laureli Ave, New Castle Ward 2, Lawrence, Pennsylvania. Maurice Sadler. Head. Age 22. Born Pennsylvania. Machinist Tin Mill. Harriet Sadler. Wife. Age 25. Born Pennsylvania. Harriet Harris. Mother in Law. Wid. Age 68. Mig 1874. Nat 1879. Born Wales. Ref 1930 US Census. Address: Laurel Blvd, New Castle, Lawrence, Pennsylvania. Maurice Sadler. Head. Age 33. Mar. Born Pennsylvania. Machinist Tin Mill. Harriet Sadler. Wife. Age 36. Mar. Born Pennsylvania. Robert Sadler. Son. Age 9. Born Pennsylvania. Together with a niece, Merion Harris (18). Ref 1940 US Census. Address: Laurel Blvd Avenue, New Castle, Lawrence, Pennsylvania. Maurice S Sadler. Age 43. Born Pennsylvania. Machinist Tin Mill. Harriet Sadler. Age 43. Born Pennsylvania. Robert C Sadler. Age 19. Born Pennsylvania. Born 18 Feb 1899 in Pennsylvania, USA (ref Army Record). Clarence H Sadler. Son. Age 1. Born Feb 1899. Born Pennsylvania. Clarence Sadler. Son. Age 11. Born Pennsylvania. Ref 1920 US Census. Address: Pollock Ave, New Castle Ward 5, Lawrence, Pennsylvania. Clarence H Sadler. Son. Age 20. Born Pennsylvania. Married c1922 to Laura, surname unknown, born c1899 in Pennsylvania (ref 1930 census). Ref 1930 US Census. Address: Hilcrest, New Castle, Lawrence, Pennsylvania. Clarence Sadler. Head. Mar. Age 31. Age 23 at marriage. Born Pennsylvania. Electric Co Foreman. Laura Sadler. Wife. Mar. Age 31. Age 23 at marriage. Born Pennsylvania. Clarence died 14 Jul 1949 aged 50, born 18 Feb 1899, Army Veteran of World War I, buried Castle View Burial Park, New Castle, Pennsylvania (ref Ancestry Pennsylvania Veterans' Burial Cards). Death reg of Clarence Henry Sadler 14 Jul 1949 at Whitpain, Montgomery, Pennsylvania (sudden heart attack while visiting); born Feb 1899 in Pennsylvania; spouse name Laura H. Sadler (ref Ancestry Death Cert #62216). Laura's death not found. She is quite likely the Laura H. Cline, born 18 Jan 1899, last residence 16142 New Wilmington, Lawrence, Pennsylvania, SSN 267-68-9269 who died 22 Feb 1996 (ref Ancestry). Born c1901 in Pennsylvania, USA (ref census). Charlotte A Sadler. Dau. Age 9. Born Pennsylvania. Charlotte A Sadler. Dau. Age 19. Born Pennsylvania. Ref 1930 US Census. Address: West Garfield Ave, New Castle, Lawrence, Pennsylvania. Charlott A Sadler. Dau. Single. Age 28. Born Pennsylvania. Trained Nurse. In 1937 Charlotte Anne Sadler is listed as arriving on 14 May 1937 in New York on the Empress of Britain, born New Castle, Pennsylvania (ref Ancestry immigration). Married 4 July 1942 to George Morris WEBB (known as Morris). They lived at 30 Holly Drive, Woodbury, New Jersey, USA and corresponded with their cousins in the Grierson family. Born c1903, in Pennsylvania, USA (ref census). Jennie Sadler. Dau. Age 7. Born Pennsylvania. Jean Sadler. Dau. Age 17. Born Pennsylvania. Marr 3 Sep 1924 at New Castle to Marshall Seth WHITACRE. He was born 3 Nov 1902 at Elyria, Lorain, Ohio, son of Lewis Whitacre & Hattie E. Palmer (ref Ancestry Ohio Births & Christenings). Ref 1930 US Census. Address: Bond St, Elyria, Lorain, Ohio. Marshall Whitacre. Age 27. Born Ohio. Steel Shipper. Joan Whitacre. Age 28. Born Pennsylvania. Thomas Whitacre. Age 1 yr 9 mths. Born Ohio. Ref 1940 US Census. Address: Samuel Street, Elyria, Lorain, Ohio. Marshall Whitacre. Age 37. Born Elyria. Steel Worker. Jean Whitacre. Age 37. Born Pennsylvania. Thomas Whitacre. Age 12. Born Elyria. Herbert Whitacre. Age 8. Born Elyria. Philip Whitacre. Age 5. Born Elyria. Jack Whitacre. Age 3. Born Elyria. They lived at Elyria, Ohio, USA, and Jean corresponded with her cousin Bertha in Australia. Death of Jean S Whitacre 12 Sep 1966 at Elyria, Lorain, Ohio, aged 64; married (ref Ancestry Ohio Deaths). Death of Marshall Seth Whitacre 10 Mar 1980 at General Hospital, Pasquotank, North Carolina; widowed, age 77, born 3 Nov 1902, SSN 276-03-5416, residence state Ohio, burial out of state (i.e. presumably Ohio) (ref Ancestry North Carolina Death Index). Born 7 Feb 1904 at New Castle, Pennsylvania, USA (ref death cert). Edwin Sadler. Son. Age 6. Born Pennsylvania. Death of Edwin Sadler 11 Sep 1912 at New Castle, Lawrence, Pennsylvania, son of Thomas Sadler & Alice E. Lewis; born 7 Feb 1904 at New Castle, Pennsylvania; age 8 (ref Ancestry Pennsylvania Death Certs). Born 18 Oct 1905 in Pennsylvania, USA (ref Death Cert). Hubert Sadler. Son. Age 4. Born Pennsylvania. Hubert Sadler. Son. Age 14. Born Pennsylvania. Hubert B Sadler. Son. Single. Age 24. Born Pennsylvania. Bank Teller. Hubert married Ada Louise MILLER. Birth of Ada Louise Miller 1 Dec 1908 at Mahoning, Lawrence, Pennsylvania, dau of Charles Eugene Miller (born Pennsylvania) & Laura T. Holliday (born Philadelphia(PA)) (ref Ancestry Pennsylvania Birth Records). Ref 1940 US Census. Address: 2011 Jelaware Avenue, New Castle, Lawrence, Pennsylvania. Huber Sadler. Head. Age 34. Born Penn. Teller. Ada Sadler. Wife. Age 30. Born Penn. Death of Ada L. Miller 4 Feb 1959 at New Castle, Lawrence, dau of Charles F. Miller & Laura T. Holliday, age 50, spouse Hubert B. Sadler, born 1 Dec 1908 at Mahoning Township, Lawrence (ref Ancestry, Pennsylvania Death Certs). Hubert died Sep 1985, last residence 16105 New Castle, Lawrence, Pennsylvania, USA, born 18 Oct 1905 (ref Ancestry Social Security Data). Born 21 Jun 1907 at New Castle, Lawrence, Pennsylvania, USA (ref Death Cert). Thomas Sadler Jr. Son. Age 3. Born Pennsylvania. Thomas Sadler. Son. Age 12. Born Pennsylvania. Thomas Sadler. Son. Single. Age 22. Born Pennsylvania. Married Viola Julia WARREN. She was born 4 Sep 1898 (ref death). She was born at Holyoke, Massachusetts, dau of Ernest E. Warren & Julia L. Judd (her birth has Julia Keagan for her mother, and her own name reversed); she first married on 24 Jun 1924 to Rufus A. HEALY, born c1892, son of Frederick W. Healy & Emily Cowing (ref Cuyahoga County, Ohio, Marriage Records and Indexes, in Ancestry). She was widowed before the 1930 census. Ref 1940 US Census. Address: 1303 Wilmington Ave, New Castle, Lawrence, Pennsylvania. Thomas Sadler. Head. Age 33. Mar. Born Pennsylvania. Chemist. Viola H. [sic] Sadler. Wife. Age 41. Mar. Born Massachusetts. Teacher. Judd W Healy. Step son. Age 14. Born Ohio. Death of Thomas Sadler 12 Nov 1946 at New Castle, Lawrence, Pennsylvania, age 39, born 21 Jun 1907 at New Castle, Penns, son of Thomas Sadler & Alice Lewis, spouse Viola Healy (ref Ancestry Pennsylvania Death Certs). Death of Viola Sadler Apr 1984, last residence New Castle, Lawrence, Pennsylvania, SSN 172-34-0821; born 4 Sep 1898 (ref Ancestry, US Social Security Death Index). Born 1891 at Yan Yean (Vic reg 18517). She was not mentioned in the death notice for her mother in 1944 in New Zealand. Death reg of Alice Muriel Watson 1969 at Fitzroy dau of Durh Nicholson & Annie (Thomas); age 78 (Vic reg 17211). Born 1893 at Fitzroy (Vic reg 12691). Ruth went to New Zealand, as did her mother Annie. Marr reg 1910 in New Zealand of Ruth Vera Nicholson to Carl William GLOISTEIN (ref Folio No 4955, Ancestry as Gloisten but normally known as Gloistein). His birth was reg as Charlie Wilhelm GLOISTEIN Dec qtr 1889 at Christchurch, New Zealand (NZ reg 3909 via Ancestry) and also as son of Henry & Barbara Gloistein (NZ reg 1889/13734). Many serious issues occurred in the marriage, as seen in court reports in New Zealand papers online. The couple lived separately for most of their lives. Death reg of Ruth Vera Gloistein 1964 in New Zealand age 70 (NZ reg 24564). Death reg of Carl Charles William Gloistein 1973 in New Zealand age 84, birth date 15 Sep 1889 (ref NZ reg 48251). Born 1895 at Fitzroy North (Vic reg 29092). Adela went to New Zealand, as did her mother Annie. Marr reg 1928 in New Zealand of Adela Eunice Nicholson to Patrick Owen CUNNEEN (ref Folio No 725, Ancestry). He had previously been married in 1903 to Christina SONNE, and in 1913 to Mary Jane TULLY (ref entries in Ancestry, NZ marriage index). "Patrick Owen Cunneen sued his brothers, George, Thomas, Edward, James, and William, for the maintenance of himself and his family. Mr. P. Jones, Maintenance Officer, appeared for the complainant, Mr R. E. Booker for Thomas Cunneen, and Mr A. J. Malley for the other four defendant brothers. Complainant said that he was unable to support his wife and family, and that his brothers were in a position to help him. He had been married three times, and had seven children. Four were at home and three were in an orphanage. He was suffering from neuritis and could not do any type of heavy work. Witness added that he had no permanent employment, but at times had been able to average £2 10s a week with odd jobs. Death reg of Adela Eunice Cunneen 1952 aged 56 years (ref NZ death records). Death of Adela Eunice Cunneen Sep qtr 1952 at Christchurch, Canterbury, New Zealand (ref Folio No 3555, Ancestry). Born 1899 at Preston (Vic reg 13107). Aubrey went to New Zealand, as did his mother Annie. Death reg of Aubrey Leonard Nicholson Dec qtr 1923 at Christchurch, Canterbury, New Zealand, Folio Number 3645 (ref Ancestry NZ death records). Burial of Aubrey Leonard Nicholson at Sydenham Cemetery, death date 28 Oct 1923, aged 24 (ref Ancestry NZ cemetery records). "Cemetery Records, Sydenham, Christchurch. Area 4. Row A. Number 2719. Benjamin Bailey d 20 Feb 1934 a 70. [unknown] Also Aubrey Leonard, son of Annie Nicholson, d 28 Oct 1923 a 24. Also his mother Annie d 31 Jan 1944 a 76." (ref Ancestry NZ cemetery records). Born 1900 at Preston (Vic reg 29135). Marriage 1927 in New Zealand of John Royston Nicholson to Martha Gladys SIMPSON (ref NZ reg, folio 8517). Birth reg of Martha Gladys Simpson 1898, dau of John & Margaret Ann Simpson (ref NZ reg 1898/10111). "MARRIAGE. NICHOLSON - SIMPSON. - On December 9th, by the Rev. N. L. D. Webster, of St. Andrew's, Gladys Martha, second daughter of Mr and Mrs John Simpson, Idris road, Papanui, to John Royston, only surviving son of Mrs Durham Damyon Nicholson, 47 Coronation street, Spreydon." (ref NZ online papers, Press, 20 December 1927). Ref 1930 Electoral Roll. Address: Lithgow, New South Wales. Nicholson, John Royston, Methven street, Lithgow, engineer. Nicholson, Martha Gladys, Methven street, Lithgow, home duties. Ref 1936, 1937 & 1943 Electoral Rolls. Address: Ayr, Queensland. Nicholson, John Royston, Kalamia Estate, Ayr, engineer. Nicholson, Martha Gladys, Kalamia Estate, Ayr, home duties. Ref 1949 & 1954 Electoral Rolls. Address: Canterbury, Victoria. Nicholson, John Royston, 72 Rochester rd, E.8, engineer. Nicholson, Martha Gladys, 72 Rochester rd, E.8, home duties. He died 6 Oct 1954 (ref notices in Trove). His funeral was on 8 Oct 1954 at Springvale Crem (ref Trove notices). Martha's death not found but she appears to be still alive in 1980 Electoral Roll. Born 1892 at Yan Yean/Morang (Vic reg 9208). Died 1892 as infant (Vic reg 4626). Born 1893 at Yan Yean (Vic reg 08754). Known as Jack. Marr 1915 in Victoria of Jno Herbt Stanborough to Dora Estelle TWYFORD (Vic reg 9872). Birth reg of Dora Estelle Twyford 1890 at Cranbourne, Vic, dau of Thos Archdall Twyford & Flor (Whitmore) (Vic reg 2615). He was referred to at death of his father in 1917. Referred to at death of his mother in 1932. John's death not found, but he was in the Vic ER up to 1949 (separately from Dora). Death reg of Dora Estelle Stanborough 1969 at Brighton, Vic, dau of Thomas Twyford & Florence (Whitmore), age 79 (Vic reg 18978). Born 1894 at Fitzroy North (Vic reg 3257). Died 1894 as infant aged 1 day (Vic reg 1705). Born 1895 at Fitzroy North (Vic reg 29120). Died 1897 at Balmain South, New South Wales (NSW reg 3970). Born 1897 at Balmain South, New South Wales (NSW reg 10152). Referred to at death of her father in 1917. Marr reg 1920 in Victoria of Madge Irene Stanborough to Arthur Ernest GOSSTRAY (Vic reg 2594 as Arth Ernt Gosstry). Birth reg of Arth Ernt Gosstray 1898 at Collingwood, son of Benn Gosstray & Mary (Chinnock) (Vic reg 10200). Referred to at death of her mother in 1932. Madge died 1947 at Heidelberg (Vic reg 9151) and was buried 1 Sep 1947 at Fawkner Cemetery. "GOSSTRAY. - On August 30, at Heidelberg House, Madge, Irene Gosstray, loving daughter of the late John and Janet Stanborough, and loved sister of Jack and Cyril." (ref Trove, The Age, Tue 2 Sep 1947). Death reg of Arthur Ernest Gosstray 1980 at Diamond Creek, son of Benn Gosstray & unknown; age 82 (Vic reg 25619). Born 1898 at Balmain South, New South Wales (NSW reg 10164). Referred to at death of his father in 1917. Marr reg 1931 in Victoria of Cyril Wm Stanborough to Amy Esther WADESON (Vic reg 2917). Birth reg of Amy Esther Wadeson 1905 at Diamond Creek, dau of Edwd Downson Wadeson & Mary Ann (Reeves) (Vic reg 25420). Death reg of Amy Esther Stanborough 1932 at Ballarat, dau of Edwd Wadeson & Mary Ann (Reeves), age 27 (Vic reg 10956). Death reg of Cyril William Stanborough 1983 at Windsor, Vic, son of John Samuel Stanborough & Janet (Thomas), born Bellmaine New South Wales, age 85 (Vic reg 20361). Born 1892 at Yan Yean (Vic reg 37747). Not married. Died 1925 at Frankston (Vic reg 5356). Born 1894 at Yan Yean (Vic reg 25550). Marr reg 1918 in Victoria of Amy Lois Thomas to Samuel Barkley LYLE (Vic reg 901). Birth reg of Saml Barkley Lyle 1891 at Barwo, son of Chrisr Jno Leth Lyle & Eliza (Trewin) (Vic reg 9069). Death reg of Samuel Barkley Lyle 1953 at Footscray, son of Christopher John Lethbridge Lyle & Eliza (Trewin), born Nathalia, age 62 (Vic reg 9703). Amy died 1967 at Fitzroy (Vic reg 2243). Born 1896 at Yan Yean (Vic reg 16176). In 1925 Walter was a joint executor for her sister, Sylvia Rose. Marr reg 1927 in Victoria of Walter Arnold Thomas to Edith May CHERRY nee HALL (Vic reg 6390). This was a bigamous marriage, as Edith's previous husband, Daniel Francis Cherry, whom she married on 16 Mar 1922, was still alive. "WOMAN CHARGED WITH BIGAMY. JURY FAILS TO AGREE. In the Criminal Court yesterday, before Mr. Justice Macfarlan, Edith May Cherry, of Brunswick-road, West Brunswick, was charged with having at Maribyrnong on 28th May 1927, married Walter Arnold Thomas, while her husband, Daniel Francis Cherry, was still alive. She pleaded not guilty, and was defended by Mr. Shelton (instructed by Mr. W. H. Doris). Accused giving evidence on oath said she was 25 years of age. Cherry left her in 1923, and though she issued a warrant for him she did not hear anything of him until 1924, when his sister told her that he had died from a chest complaint. She believed that to be true, and in consequence married Thomas in 1927. The jury retired at 4 o'clock, and after being locked up for six hours they were unable to agree, and were discharged. "CHARGE OF BIGAMY". Jury Acquits Woman. In the Criminal Court yesterday, before Mr. Justice McArthur, the second trial was concluded in which a woman, Edith May Cherry, 25 years, appeared on a charge of bigamy. In the first trial the jury failed to agree. The Crown case was that the accused had at Yarra Junction in 1922 married Daniel Francis Cherry, and in May, 1927, at Maribyrnong, she went through the form of marriage with Walter Arnold Thomas, her first husband then being alive. The defence was that accused and Cherry had separated in September, 1923, and that later she heard that he had died. When she went through the form of marriage with Thomas in 1927 she believed herself to be a widow. There are many other newspaper articles about this case, found in Trove. Presumably the marriage was annulled. Marr (2) between 1930 and 1933 of Walter Arnold Thomas to Amy Veronica BOYD (ref probate advertisement). She was born 1900 at Collingwood, dau of Benjamin Boyd and Emma (Thomas) (Vic reg 18134). Walter died 1938 at Fitzroy (Vic reg 7288). Death reg 1946 at Fitzroy of Amy Veronica Thomas, dau of Benjamin Boyd and Emily (Thomas), born Melbourne, age 45 (Vic reg 4364). Born 1895 at Fitzroy North (Vic reg 3323). Marr 1917 in Victoria to Andrew Gregory NELSON (Vic reg 7512). Birth reg of Andrew Nelson 1882 at Yan Yean, son of Patrick Nelson & Catherine (Hickey) (Vic reg 13194). Death reg of Andrew Gregory Nelson 1976 at Brunswick, son of Patrick Nelson & Ellen (Hickey), age 94 (Vic reg 11587). Myrtle died 1979 at Ascot Vale (Vic reg 7904). Born 1897 at Yan Yean (Vic reg 15650). Marr reg 1924 in Victoria of George Menzies Muir to Doris WITHINGTON (Vic reg 3756). Birth reg of Doris Withington Sep qtr 1897 at Burnley dist, Lancashire, England (ref FreeBMD). She was born 24 July 1897 (ref family source). Doris migrated from England after 1901 census. George died 7 Nov 1969 at Footscray (Vic reg 25980 & family source.). Death reg of Doris Muir 1982 at Footscray, dau of William Withington & Alice, age 84 (Vic reg 14227). She died 25 June 1982 and her mother was Alice Birchall (ref family source). Born 1898 at Yan Yean (Vic reg 30202). Marr reg 1921 in Victoria of Olive Gwendoline Muir to Patrick James NELSON (Vic reg 4570). Birth reg of Patrick James Nelson 1886 at Yan Yean, son of Patrick Nelson & Ellen (Hickey) (Vic reg 23150). Patrick died on 8 Feb 1942 (ref newspaper). Death reg of Patrick James Nelson 1942 at Doreen, son of Patrick Nelson & Ellen (Hichey [sic]), born Doreen, age 55 (Vic reg 1821). Olive died 31 May 1974 at Preston (Vic reg 13602 & family source). Born 21 Apr 1902 at Yan Yean (Vic reg 14872 and family source). Marr 3 May 1930 in Sydney to Annie Dorothy McGUINESS, born 7 May 1905 Manchester England, died 6 July 1997, Maffra, Vic (all ref family sources). Gordon died 28 Mar 1945 at Parkville (Vic reg 3817 & newspaper). "OBITUARY. Mr H. G. MUIR. Born 1903 at Yan Yean (Vic reg 14661). Marr reg 1931 in Victoria of Amy Walpole to Leslie Gordon JAGO (Vic reg 6599). Birth reg of Leslie Gordon Jago 1902 at Albert Park, son of Alfred Henry Jago & Mary Ann (Drury) (Vic reg 53). Referred to at death of her father in 1950 as Amy (Mrs. Jago). Deaths not found. No issue. Born 1906 at Jung Jung (Vic reg 27565). Marr reg 1935 in Victoria of Doris Walpole to John William HUMBLE (Vic reg 6152). Birth reg of John William Humble 1908 at Geelong, son of George Bland Humble & Florence Ethel (Whiting) (Vic reg 27324). Death reg of John William Humble 1968 at Deepdene, son of George Humble & Florence (Whiting), age 59 (Vic reg 23313). Doris died 1982 at Hartwell (Vic reg 9243). Born 1910 at Malvern (Vic reg 28778). Died 1929 at Melb E. (Vic reg 6163). Born 1913 at Malvern (Vic reg 5373). Married c1943 to Gordon George LOVELESS. "ENGAGEMENTS. WALPOLE - LOVELESS. Marion Rewa, youngest daughter of Mr. and Mrs. John Walpole, Elgar road, Box Hill, to Lieut. Gordon George Loveless, A.I.F. (New Guinea), younger son of Mr. and Mrs. C. F. Loveless, Pine Lodge, Melbourne road, Spotswood." (ref Trove, The Argus, Wed 31 Mar 1943). Birth reg of Gordon George Loveless 1913 at St Kilda, son of Chas Field Loveless & Fanny Mary Ann (Roberts) (Vic reg 35381). Referred to at death of her father in 1950 as Marion (Mrs. Loveless)." Death reg of Gordon George Loveless 1977 in Melbourne, son of Charles Fiel Loveless & Fanny Mary A. (Roberts), age 64 (Vic reg 26099). Born 12 Jan 1911 at Barwo, Vic (Vic reg 578). Marr 30 Jun 1951 at Heathcote, Victoria to Hannah Mary PIANTA (ref family source). Birth reg of Hannah Mary Pianta 1914 at Port Albert, Victoria, dau of Joseph Pianta & Minnie Elizabeth (Lewis) (Vic reg 34245). Mary, as she is generally known, was born on the 31 Oct 1914 (ref family source). Ian died 19 Jun 2005 at Nathalia (family source). Mary celebrated her 100th birthday in 2014, and died on 3 May 2015 (family source). Born 6 Jun 1912 at Barwo, Vic (Vic reg 17397 & family source). Marr reg 1937 in Victoria of Bessie Constance Killmister to William Gordon SUNDERLAND (Vic reg 15580). Birth reg of Wm Gordon Sunderland 1907 at Sale, son of Chas Rupert & Margt (Brenion) (Vic reg 13940). Death reg of William Gordon Sunderland 1966 at Heidelberg, son of Charles Rupe Sunderland & Margaret (Brenion), age 59 (Vic reg 26086). Bessie died 9 Jun 2005 in Melbourne (ref family source). Born 17 Dec 1913 at Nathalia, Vic (Vic reg 33638 & family source). Died 20 Nov 1994 at Nathalia (ref family source). Born 1916 at Nathalia, Vic (Vic reg 14386). Mar reg 1940 in Victoria of Jessie Rewa Killmister to Clarence Lambert PATERSON (Vic reg 21209). Birth reg of Clarence Lambert Patterson [sic] 1909 at Barwo, son of John Patterson & Isabella (Phipps) (Vic reg 8091). Death reg of Clarence Lambert Paterson 1983 at Picola West, son of John Paterson & Isabella (Phipps); born Nathalia; age 74 (Vic reg 14224). Jessie still alive, will be 100 in May 2016. Born 20 Jul 1917 at Nathalia, Victoria (Vic reg 25582). He died 10 Dec 2008 at Nathalia (ref family source). Born 1918 at Nathalia, Victoria (Vic reg 29768). Marr reg 1941 in Victoria of Marjory Killmister to Albert William PEARCE (Vic reg 9272). He was born c1921 at Nathalia (see death). Death reg of Albert William Pearce 1987 at Nathalia, son of Edgar Louis Pearce & Mary Ellen (Murray); born Nathalia; age 66 (Vic reg 11346). Marjory still alive as of 2016. Born 1917 at Box Hill, Vic (Vic reg 983). Birth reg 1918 at Footscray, Victoria (Vic reg 27763). Marr reg 1942 in Victoria of Shirley Grace Brasser to Roy Gordon BERRY (Vic reg 6909 as Gordon Roy, known as Gordon). Birth reg of Roy Gordon Berry 1914 at Maryborough, son of Wm Gordon Berry & Eveline (Letts) (Vic reg 14535). Born 12 Feb 1905 (ref family source). Birth reg 1905 at Yarloop, Western Australia, of Ernest James, son of Samuel Robert Watson & Annie Thomas (ref Ancestry Australia Birth Index reg 1905/7198). Marr 9 Jul 1952 to Lois Mary GLEN (ref family source). Birth reg of Lois Mary Glen 1913 at Wirrimbirchip, dau of Geo Hy Glen & Lillian Jane (Lade) (Vic reg 17847). She was born 7 May 1913 (ref cemetery). Death reg of Ernest James Watson 1986 at Caulfield South, son of Samuel Robert Watson & Annie (unknown), born Yarloop, Western Australia, age 81 (Vic reg 27278). Born 28 Aug 1906 (family source) but registration not found in WA or Victoria. Marr 28 Dec 1927 to Frank James FUNSTON (Vic reg 13615 and family source). Birth reg of Frank Jas Funston 1898 at Berwick, son of Thos Geo Funston & Emily Clara (Pauline) (Vic reg 24325). He was born 16 Sep 1898 (ref family source). Death reg of Frank James Funston 1984 at Oakleigh, son of Thomas George Funston & Emily Clara (Paulin); born Narre Warren; age 85 (Vic reg 8783). Born 9 Oct 1908 (family source), birth reg 1908 at Wallhalla, Vic (Vic reg 30757). Marr reg 1931 in Victoria of Robert John Watson to Nancy Vera NORTH (Vic reg 4571). Birth reg of Nancy Vera North 1905 at Pyramid Hill, dau of Jno Alfd North & Ada Marion (Hancock) (Vic reg 28552). Death reg of Robert John Watson 1973 at Wangaratta, parents unknown, age 65 (Vic reg 26087). Death reg of Nancy Vera Watson 1974 at Cobram, father unknown, mother unknown (North), age 68 (Vic reg 7736). Born 29 Jun 1911 (family source), birth reg 1911 at Powlett River, Vic (Vic reg 22929). Marr reg 1932 in Victoria of Hazel Grace Watson to Douglas Irvine GRAHAM (Vic reg 5800). Birth reg of Irvine Douglas Graham 1906 at Maidstone, son of James Steele Graham & Elizabeth Ann (Forsyth) (Vic reg 4476). He was born 22 Jan 1906 (ref family source). Hazel died 29 Jun 1969 at Bendigo, Vic (Vic reg 13860 and family source). Born 7 Nov 1915 (family source), birth reg 1915 at Dandenong, Vic (Vic reg 29607). Marr reg 1935 in Victoria of Doreen Pearl Watson to Albert Daniel WHITFORD (Vic reg 15290). Birth reg of Albt Danl Whitford 1914 at Footscray, son of Jno Josh Whitford & Liln Ada (Dunne) (Vic reg 22299). He was born 7 Sep 1914 (ref family source). Albert died 27 Mar 1989 in Victoria, buried 29 Mar 1989 at Drysdale Cem (ref family source). Birth reg 1908 at Geelong, Dorothy Grierson Thomas, dau of Jean (Thomas) (Vic reg 11705). Marr reg 1934 in Victoria of Dorothy Grierson Bell to Roy Henry McINTOSH (Vic reg 12518). He was born c1900 (ref death). They were farmers at Lang Lang, Victoria for many years. Death reg of Roy Henry McIntosh 1972 at Lang Lang, son of unknown father and Amy (Simmons), age 72 (Vic reg 26138). Birth reg 1912 at Powlett River, Vic, Nina Frances, dau of Jess Bell & Jean (Thomas) (Vic reg 23440). Death reg 1942 at Broadmeadows, Vic, Nina Frances, dau of Jesse Bell & Jean Thomas, aged 28 (ref Ancestry Australia Death Index reg 27008). Birth reg 1914 at Powlett River, Vic, Gordon, son of Jess Bell & Jean (Thomas) (Vic reg 34423). Death reg 1949 at Beechworth, Vic, Gordon, son of Jesse Bell & Jean Thomas (ref Ancestry Australia Death Index reg 20025). Birth reg 1917 (ref Victorian records reg 16788). Death reg 1917 as infant at Wonthaggi, Vic, Fredk Horace, son of Jesse Bell & Jean Thomas (ref Ancestry Australia Death Index reg 6950). Birth reg 1918 (ref Victorian records reg 15894). Death reg 1919 at Wonthaggi, Vic, David, son of Jess Bell & Jean Thomas, aged 1 (ref Ancestry Australia Death Index reg 4245). Born 22 Nov 1906 at Walhalla (ref family source1). Birth reg of Myrtle McKenzie 1906 at Walhalla, dau of Jas McKenzie & Emily (Thomas) (Vic reg 30494). Myrtle marr (1) 30 Jun 1928 at Wonthaggi Presbyterian Church to Stanley Edward JOHNSON (ref family source). Marr reg 1928 in Victoria of Myrtle McKenzie to Stan Edward Johnson (Vic reg 6010). Birth reg of Stanley Edwd Johnson 1899 at Albert Park, son of Edwd Ernt Johnson & Fanny Elizth (Quantook [sic]) (Vic reg 27). Stanley died 10 Nov 1957 at Box Hill Hosp (ref family source). Death reg of Stanley Edward Johnson 1957 at Box Hill, son of Edward Ernest Johnson & Fanny Eliza (Quantock), born Albert Park, age 58 (Vic reg 14017). He was buried 12 Nov 1957 at Fawkner Crem (ref Fawkner records). Myrtle marr (2) 21 Apr 1962 at West Preston Baptist Manse to Eric WELLINGTON (ref family source). Eric was born c1908, died c1968. Death of Myrtle 30 Jun 2008 (ref family source 1). See a reminiscence here by Andrea Johnson (2018). Birth reg of Jno Grierson McKenzie 1909 at Walhalla, son of Jas McKenzie & Emily (Thomas) (Vic reg 6938). Marr reg 1933 in Victoria of Jno Grierson McKenzie to Grace TREUEL (Vic reg 8421). Birth reg of Grace Trenel [sic] 1913 at Heathcote, dau of Hy Jno & Maude (Cummings) (Vic reg 4493). The Electoral Rolls show the name was Treuel. Death reg of John Grierson McKenzie 1974 at Box Hill, son of James McKenzie & Emily (unknown), age 64 (Vic reg 611). Death reg of Grace McKenzie 1986 at Box Hill, dau of John Henry Treuel & Maude Louise (Cummings); born Heathcote; age 73 (Vic reg 20564). Birth reg of Donald McKenzie 1910 at Walhalla, son of Jas McKenzie & Emily (Thomas) (Vic reg 23656). Marr reg 1940 in Victoria of Donald McKenzie to Josephine Harriott JOHNSTONE (Vic reg 6342). She was born c1910 (ref family source). Donald died 1977 at Moe (Vic reg 18599). Birth reg of Grace Gwendolen McKenzie 1913 at Dandenong, dau of Jas McKenzie & Emily (Thomas) (Vic reg 2798). Born 27 Dec 1913 (ref family source). Marr reg 1934 in Victoria of Grace Gwen'e McKenzie to William Fotheringham BEVERIDGE (Vic reg 12240). Wiliam was born 26 Jul 1910 in Scotland (ref Army record). William served in WW2, Service No V371262, Army Citizen Military Forces (ref Ancestry, Australia WW2 Military Service Records). Grace died 10 Feb 1992, buried 13 Feb 1992 at Fawkner Crem (ref Fawkner records). William died 1 Jan 1997, bur 6 Jan 1997 at Fawkner Crem (ref Fawkner records). Death reg of Frank Dean 1902 at Carlton North, son of Frank Dean & Janet (Horne), age 14 [months] (Vic reg 1036). Birth reg of Alice May Horne 1898 at Fitzroy North, dau of Alex Horne & Emily Louisa (Reeves) (Vic reg 3045). Death reg of Alice May Horne 1899 at Fitzroy North, dau of Alex Horne & Emily Louisa (Reeves), age 1 (Vic reg 1586). Marr reg 1920 in Victoria of Winifred Emily Horne to Eric DEWAR (Vic reg 9277). Birth reg of Eric Dewar 1895 at Long Gully, son of Robt Alex Dewar & Margt (Armstrong) (Vic reg 13775). Referred to in 1942 at death of her mother as Winifred (Mrs E. Dewar). Death reg of Eric Dewar 1944 at Glenroy, son of Robert Alexander Dewar & Margaret (Armstrong), born Bendigo, age 49 (ref Vic reg 18584). Burial of Eric Dewar at Fawkner Cem 31 May 1944 (ref Fawkner records). Birth reg of Elsie Jean Horne 1904 at Carlton North, dau of Alex Horne & Emily Louisa (Reeves) (Vic reg 1793). Marr reg 1929 in Victoria of Elsie Jean Horne to Alfred George ROBERTS (Vic reg 379). Birth reg of Alf Geo Roberts 1901 at Brunswick East, son of Alf Wm Hayman Roberts & Ellen (Regan) (Vic reg 17089). Birth reg of Alex Rennard Horne 1909 at Carlton North, son of Alex Horne & Emily Louisa (Reeves) (Vic reg 17689). He was born 10 Oct 1909 (ref Ancestry WW2 Military Service Records). Marr reg 1942 in Victoria of Alex Rennard Horne to Nesta Cavill WILLIAMS (Vic reg 9498). Her birth not found. Served in WW2, Service number 125235, RAAF, NCOs and Other Ranks, next of kin Nestor Horne (ref Ancestry WW2 Military Service Records). Both in Electoral Rolls up to 1980. Deaths not found. Marr reg 1938 in Victoria of Effie Emson Horne to Thomas Desmond WHORLTON (Vic reg 2081). He was born c1919 (ref death). Referred to in 1942 at death of her mother as Effie (Mrs. T. Whorlton). Death reg of Thomas Desmond Whorlton 1952 at Melbourne, son of Hugh Sylvester Whorlton & Edith (Price); born Melbourne East; age 33 (Vic reg 6029). Birth reg of Thos Alex Horne 1897 at Brunswick East, son of Thos Horne & Elizth (Thornton) (Vic reg 9116). Married Ethel May WALKER (ref family source), who was with him in Electoral Rolls for 1949 and 1954. She was born c1899. Referred to in 1954 at death of his father as Thomas. Death reg of Thomas Alexander Horne 1958 at Pyramid Hill, son of Thomas Horne & Elizabeth (Thornton); born Melbourne; age 61 (Vic reg 25385). Death reg of Ethel May Horne 1975 at Footscray, dau of John William Walker & Rebecca (Leyden); age 76 (Vic reg 14466). Referred to in 1954 at death of his father as Wally. Death reg of Walter William Horne 1965 at Parkville, son of Thomas Alexander Horne & Elizabeth (Thornton); born Richmond; age 66 (Vic reg 10924). Referred to in 1954 at death of her father as May. Referred to in 1954 at death of her father as Minnie (Mrs. Stephens). Marr reg 1933 in Victoria of Minnie Sophia Horne to Robert Stanley John STEPHENS (Vic reg 8314). Birth reg of Robt Standley Jno Stephens 1907 at Clifton Hill, son of Standley Stephens and Anne May (Jones) (Vic reg 25661). Death reg of Robert Stanley John Stephens 1960 at Preston, son of Stanley Stephens & May (Jones); born Northcote; age 52 (ref Vic reg 2727). Marr reg 1936 in Victoria of Elsie H'etta Horne to Thomas Alexander MAYBERRY (Vic reg 11837). Birth registration of Thomas Alexander Mayberry Sep qtr 1908 at Belfast, Ireland (ref Ancestry). Referred to in 1951 at death of her father as Elsie (Mrs. Mayberry). Death reg of Elsie Henrietta 1976 at Abbotsford, dau of John Perc Horn and Annie (Hamston); age 68 (Vic reg 4623). Death reg of Thomas Alexander Mayberry 1986 at Reservoir, son of Alexander Mayberry & Mary Ellen (Atkinson), born Belfast Ireland, age 78 (Vic reg 17422). Referred to in 1951 at death of his father as John. Death reg of John Percival Horne 1972 at Melbourne, unknown parents, age 62 (Vic reg 507). Birth reg of Doris Lilian Horne 1912 at Carlton, Vic, dau of Jno Percy & Annie (Hamston) (Vic reg 18320). Marr reg 1936 in Victoria of Doris Liln Horne to Chas Edmd Norley [sic] (Vic reg 14922). Birth reg of Charles Edmund MORLEY 1910 at Collingwood, son of Chas Geo Morley & Ethel Maud (Webster) (Vic reg 10350). They had married 1908 in Victoria (Vic reg 4174). Referred to in 1951 at death of her father as Doris (Mrs. Morley). Death reg of Doris Lillian Morley 1974 at Melbourne, dau of John Horne & Ann (Hamston); age 62 (Vic reg 20752). Death reg of Charles Edmund Morley 1982 at Box Hill, son of Charles Edmund Morley & Ethwel Maud; age 71 (Vic reg 5499) [The names above appear more accurate]. Birth reg of Leslie Thomas Horne 1916 at Carlton, Vic (Vic reg 27535). Referred to in 1951 at death of his father as Leslie. Death reg of Leslie Thomas Horne 1974 at Fairfield, son of John Percival Horne & Annie (Hamston); age 55 (Vic reg 5433). Born c1921 (ref age at death). Birth reg of Jas Stanley Horn 1904 at Brunswick East, son of Jas Stanley & Ethel May (Smith) (Vic reg 1200). Marr reg 1923 in Victoria of Jas Stanley Horne to Violet Annie THATCHER (Vic reg 11348). Birth reg of Violet Thatcher 1904 at Carlton, dau of Archd Richd Thatcher & Frances (Hunter) (Vic reg 1727). James Stanley died 1951 at Parkville, Victoria (Vic reg 12107). Death reg of Violet Ann Horne 1956 at Parkville, dau of Archibald Richard Thatcher & Frances (Hunter); born Northcote; age 52 (Vic reg 13011). Birth reg of Clifford Robt Wilson Atkinson 1910 at Whittlesea, son of Saml Wilson & Maggie May (Slessar) (Vic reg 31534). Marr reg 1935 in Victoria of Clifford Robt Wilson Atkinson & Hilda Mary CRASKE (Vic reg 11930). Birth reg of Hilda Mary Craske 1909 at Port Melbourne, dau of Sydney Jno Craske & Sophia Maria (Reynolds) (Vic reg 22055). Death reg of Clifford Robert Atkinson 1981 at Whittlesea, son of Samuel Wilson Atkinson & Maggie May, age 70 (Vic reg 8065). Birth reg of Marion Alice Atkinson 1912 at Whittlesea, dau of Saml Wilson & Maggie May (Slessar) (Vic reg 25281). Marr reg 1939 in Victoria of Marion Alice Atkinson to Robert Peter NOLAN (Vic reg 2560). Birth reg of Robt Peter Nolan 1913 at Yea, son of Hy Peter Nolan & Joanna (Dodd) (Vic reg 18003). Death reg of Robert Peter Nolan 1965 at Oakleigh South, son of Henry Nolan & Johanna (Dodd), born Mansfield, age 52 (Vic reg 15685). Burial of Robert Peter Nolan 28 Jul 1965 at Springvale Cemetery (ref Springvale records online). Marion died 13 Nov 1998, buried 16 Nov 1998 at Springvale Cem; born 5 Sep 1912 (ref Springvale records online). Born 19 Feb 1916 (family source). Birth reg of Gwenda May Atkinson 1916 at Brunswick North (Vic reg 1287). Marr 1941 in Victoria of Gwenda May Atkinson to Eric Thomas SUMMERFIELD (Vic reg 9313). Birth reg of Thomas Eric Summerfield 1914 at Coburg, son of John Summerfield & Hilda Ivy (Jackson) (Vic reg 2518). Death reg of Thomas Eric Summerfield 1978 at Mount Martha, son of John Summerfield & Hilda Ivy (Jackson); age 63 (Vic reg 2475). Gwenda died 2003 (notice in The Age 3 Oct 2003, date of death not given). Marr reg 1938 in Victoria of Nancy May Bland to Henry Ian HOSSACK (Vic reg 4384). "WEDDINGS. HOSSACK-BLAND. A GOWN of gleaming magnolia satln was worn by Miss Nancy May Bland, for her marriage on Easter Saturday in the Church of the Holy Spirit, Watsonia, to Henry Ian,only son of Mr and Mrs H. R. Hossack, 12 Charles Street, Benalla. The bride, who is the only daughter of the late H. Bland and Mrs P. Carter of "Woodburn," Watsonia, was given away by her uncle Mr C. Bland. etc etc" (ref Trove, Benalla Ensign, Fri 29 Apr 1938). There was a divorce. Nancy May marr (2) to Isaac HARRIS by 1949 wherein the ER they lived at "Woodburn", Watsonia. Death reg of Nancy May Harris 1983 at Melbourne, dau of Harold George Bland & Hannah Grace (May); born Yarram [see above]; age 68 (reg Vic reg 21484). Birth reg of Raymond Geo Bland 1915 at Yarram, son of Robt Wm Bland & Lydia Jane Foxley (Borrows) (Vic reg 35251). Born 1900 at Winslow, Vic (Vic reg 7494). Marr reg 1932 in Victoria of Martha Janet Harkness to Reginald Gilbert HUSTON (Vic reg 10050). Birth of Reginald Gilbert Huston 11 May 1906 at Quorn, SA, registered Frome, SA, son of Joseph Thomas Huston and Kate Hodges (ref Australia Birth Index). 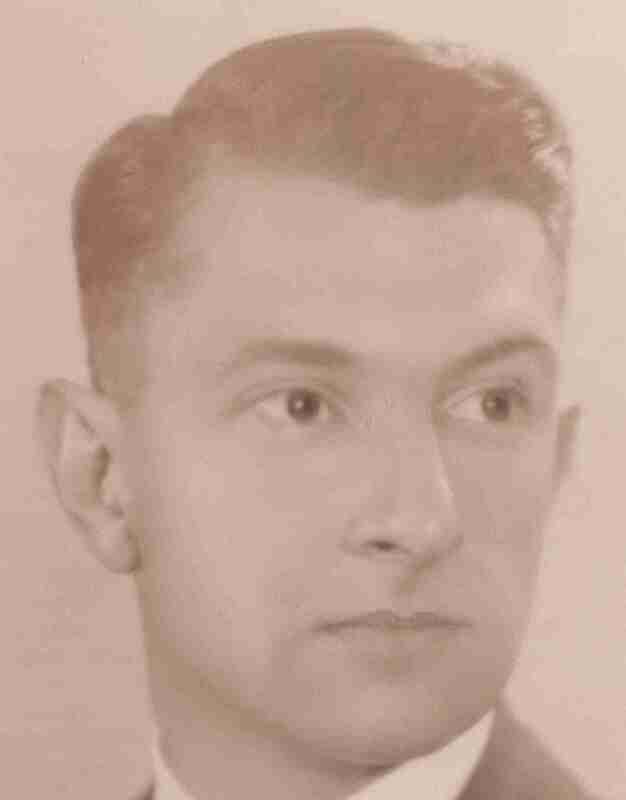 Reginald Gilbert Huston, born 11 May 1906 at Quorn, SA, enlisted Point Cook, Victoria, service number 855, next of kin J. Huston, in RAAF, NCOs and other ranks (ref Ancestry Australian WW2 military records). Between WW2 and 1949 they changed the spelling to HOUSTON in Electoral Records and death records. Martha HOUSTON died 1962 at Bayswater, Vic (Vic reg 19496). Death reg of Reginald Gilbert Houston 1966 at Brighton, Vic, son of Joseph Thomas Houston & Katherine (unknown), age 60 (ref Vic reg 18645). Born 1902 at Warrnambool, Vic (Vic reg 6734). Born 1904 at Warrnambool, Vic (Vic reg 6749). Death reg of William George Albert Harkness 1987 at Hawthorn, son of William Harkness & Mary (White); born Warrnambool; age 83 (Vic reg 4236). Born 1910 at Warrnambool, Vic (Vic reg 7376). Marr reg 1932 in Victoria of Amy Gladys Harkness to George Geoffrey BLAKE (Vic reg 4331). Born 1913 at Warrnambool, Vic (Vic reg 35951). Marr reg 1937 in Victoria of Ruth Evelyn Harkness to Leonard Albert Mitchell SYKES (Vic reg 12354, "Abt"). Birth reg of Leonard Albt Mitchell Sykes 1912 at Fitzroy South, son of Albert Charles Sykes & Helen (Mitchell) (Vic reg 20289). Death reg of Ruth Evelyn Sykes 1977 at Melbourne, dau of William Harkness & Mary (White); age 63 (Vic reg 20684). Death reg of Leonard Albert Sykes 1981 at Bendigo, son of Albert Charles Sykes & Helen; age 68 (Vic reg 14737). Born 1903 at Warrnambool (Vic reg 6949). Marr reg 1930 in Victoria of Norman Jas Worland to Maude Ivy Jean HAIN (Vic reg 301). Birth reg of Maud Ivy Jean Hain 1906 at Tower Hill, dau of George Hain & Ollie Eva (Campbell) (Vic reg 22738). Norman died 1972 at Geelong (Vic reg 29160). Maud died 18 Aug 2000 at Lara, Vic (ref family source). Born 1904 at Warrnambool (Vic reg 29497). Marr reg 1935 in Victoria of Alma Ingo Worland to Ernest Gilbert HALLETT (Vic reg 12215). Birth reg 1906 at Castlemaine of Ernt Gilbert Hallett, son of Robt Hallett & Ruth (Davey) (Vic reg 1925). Death reg of Alma Ingo Hallett 1968 at Castlemaine, dau of Ernest Worland and Margaret (White); age 64 (Vic reg 22791). Death reg of Ernest Gilbert Hallett 1988 at Castlemaine, son of Robert Hallett & Ruth (Davey); born Barkers Creek; age 82 (Vic reg 21951). Born 1906 at Warrnambool (Vic reg 14810). Died 1906 at Warrnambool (Vic reg 7404). Born 1907 at Warrnambool (Vic reg 22973). Marr reg 1940 in Victoria of Ronald Hector Worland to Audrey Joyce MURFETT (Vic reg 22260). "ENGAGEMENTS. Audrey Joyce, youngest daughter of Mr. and Mrs. J. R. Murfett, of Terang, to Ronald Hector, second son of Mr. and Mrs. E. T. Worland, of Warrnambool." (ref Trove, The Argus, Sat 8 Apr 1939). Audrey was a daughter of John Rammage Murfett and Lily Dare (Davey). Born 1910 at Warrnambool (Vic reg 31450). Marr Nancy Coombe MELVILLE, born 1916, dau of George Melville & Annie Kinnin (Dalgety). Reginald died 1979 at Warrnambool (Vic reg 23623). Death reg of Nancy Coombe Worland 1979 at Warrnambool, dau of George Melville & Annie Kinnin (Dalgety), age 62 (Vic reg 20498). Born 1912 at Warrnambool (Vic reg 25208). Marr reg 1935 in Victoria of Ivy Jean Worland to Roland William NESBIT (Vic reg 4526). Birth reg of Roland Wm Nesbit 1908 at Brighton, son of John George Mitford Nesbit & Elizabeth Jane (Davy) (Vic reg 1106). Death reg of Roland William Nesbit 1967 at Castlemaine, son of John George & Elizabeth Jane (Davy), age 60 (Vic reg 16308). Ivy died 1970 at Geelong (Vic reg 13099). Marr reg 1938 in Victoria of Eric James White to Margaret Jane O'HARA (Vic reg 15361). Birth reg of Jane Margaret O'Hara 1911 at Yinnar, dau of Joseph William O'Hara & Catherine Isobel (Ross) (Vic reg 33193). Death reg of Margaret Jane White 1982 at Moe, dau of Joseph W. O'Hara and Catherine Isab, age 70 (Vic reg 18270). Death reg of Eric James White 1987 at Moe, son of David James White & Georgina Catherine (Thomson), born Morwell, age 80 (Vic reg 31093). Birth reg of Gina Gladys White 1908 at Morwell, dau of David & Gina Cath (Thompson) (Vic reg 21332). She was born 10 Jun 1908. Marr 17 Apr 1943 to Keith Alexander NEILSON; he was born 4 May 1908. Birth reg of Keith Alexander Neilson 1908 at Traralgon, son of John Neilson & Isabella Amelia Cogan (Birkley) (Vic reg 30692). Keith died 23 Mar 1982 at McKinnon, Victoria. Death reg of Alexander Keith Neilson 1982 at McKinnon, son of John & Amelia; age 73 (Vic reg 6689). Georgina died 3 Oct 1996 at Kew, Victoria. All dates from R. Neilson 2013. Born 1909 at Morwell (Vic reg 29509). Birth reg of Keith White 1909 at Morwell, son of David Jas & Gina Cath Jane (Thomson) (Vic reg 29509). Marr reg 1941 in Victoria of Keith White to Gladys Jessie DEPPELER (Vic reg 2426). Birth reg of Gladys Jessie Deppeler 1914 at Morwell, dau of Albert Ernest Llewelyn Deppeler & Beatrice May (Page) (Vic reg 33678). Death reg of Keith White 1986 at Traralgon, son of David James White & Georginia Catherine (Thompson); born Morwell; age 75 (Vic reg 7677). Birth reg of Elizth Pearl Eileen White 1911 at Morwell, dau of David Jas & Geoina Cath (Thomson) (Vic reg 5485). Marr reg 1935 in Victoria of Elizth Pearl White to Herbert Edgar HART (Vic reg 2137). Birth reg of Herbert Edgar Hart 1907 at Stawell, son of Walter Edgar Hart & Blanche (Armitage) (Vic reg 14326). Birth reg of Leila Irene 1912 at Morwell, dau of David Jas & Gina Cath (Thomson) (Vic reg 14000). Marr reg 1934 in Victoria of Leila Irene White to Louis William BOND (Vic reg 12719). Birth reg of Louis Wm Bond 1910 at Longwood, son of Wm Hy Bond & Lilian May (Grant) (Vic reg 4624). Birth reg of Ethel Sylvia Marjory WYNES 1903 at Hawthorn, dau of David Wynes & Jane (White) (Vic reg 18453). Died 1908 at Yarram, child aged 5 (Vic reg 8084). Born 1906 at Yarram (Vic reg 30951). Born 1908 at Yarram (Vic reg 31214). Marr reg 1936 in Victoria of Mary Irene Wines to James Kenneth MILLS (Vic reg 498). Birth reg of Jas Kenneth Mills 1905 at Ballarat, son of Jas Mills & Wmina (Siebert) (Vic reg 23168). He was sometimes known as James Kennett Mills, as in the 1937 and 1942 ERolls for Bunyip. Death reg of James Kenneth Mills 1943 at Warragul, son of James Mills & Wilhemmena (Siebert); born Ballarat; age 37 (Vic reg 22905). Born 1911 at Yarram (Vic reg 7999). Marr reg 1934 in Victoria of Phyllis Gert'e Wines to Ernest Alan PAINTER (Vic reg 3753). Born 1913 at Yarram (Vic reg 36227). Marr reg 1935 in Victoria of Myrtle Victoria Wines to Kingsley PARKES (Vic reg 12230). Born 1917 at Yarram (ref family source). Marr Elsa Bertha WILMS (ref family source). Marr reg 1935 in Victoria of Howard Bertram Bentley to Winifred Mary BURNS (Vic reg 6253). Death reg of Howard Bertram Bentley 1955 at Brighton, son of Bertram Bentley & Marjorie (White); born Surrey Hills; age 47 (Vic reg 6662). "BENTLEY.- On June 25, at his home, 166 The Esplanade, Brighton, Howard Bertram, dearly loved husband of Wynne, loved father of Sandra, Dianne, and Jennifer, aged 47 years. - At rest." Death reg of Stanley Charles Bentley 1978 at Elwood, son of William Bert & Marjorie (White); age 60 (Vic reg 11039). Birth reg of Mary Beryl Sutton 1914 at Yarram, dau of John Sutton & Gina Emily (White) (Vic reg 18024). Marr reg 1939 in Victoria of Beryl Mary Sutton to Gordon Edward MISSEN (Vic reg 5549). Birth reg of Gordon Edwd Missen 1900 at Gormandale, son of Wm Jos & Lillian Jane (Wright) (Vic reg 3603). Mary died 1984 at Yarram (ref FamilySearch). Birth reg of Alfd Byron 1906 at Warracknabeal, Victoria, son of Herbt Ernt Byron & Mary Cath Mckinnon (Vic reg 14697). Marr reg 1936 in Victoria of Alfd Byron to Amelia Alma SCHULTZ (Vic reg 11442). Birth reg of Amelia Alma Schultz 1914 at Warracknabeal, dau of Fredk Wm Schultz & Bertha Eda (Pietsch) (Vic reg 17583). Death reg of Alfred Byron 1983 at Footscray, son of Herbert Ernest Byron & Mary Kathleen (Mckinnon); born Watchem; age 77 (Vic reg 20424). Burial of Alfred Byron at Altona Cemetery, died 3 Sep 1983, buried 7 Sep 1983 (Fawkner etc records online). Burial of Amelia Alma Byron at Altona Cemetery, died 30 Dec 1991, buried 3 Jan 1992 (Fawkner etc records online). Birth reg of Malcolm Jno Byron 1908 at Warracknabeal, Victoria, son of Herbt Ernt Byron & Mary Cath Mcdon Mckinnon (Vic reg 7549). Marr reg 1932 in Victoria of Malcolm Jno Byron to Abbie May LEWIS (Vic reg 6119). Birth reg of Abbie May Lewis 1911 at Penshurst, dau of Edwd Lewis & Jane (Johnstone) (Vic reg 22806). Death reg of Malcolm John Byron 1981 at Warracknabeal, Vic, son of Herbert & Mary Byron, age 73 (Vic reg 01743). He died 14 Jan 1981 (ref Probate). Birth reg 1910 at Warracknabeal, Victoria, dau of Herbert Ernest Byron & Mary Cath Mcdon Mckinnon (Vic reg 7286). Birth reg 1911 at Warracknabeal, Vic, dau of Herbert Ernest Byron & Mary Kathrine Mc (Mckinnon) (Vic reg 32802). Birth reg 1913 at Warracknabeal, Vic, dau of Herbert Ernt Byron & Mary Cath Mcd (Mckinnon) (Vic reg 35837). Marr reg 1934 in Victoria of Adeline Laura Byron to William Joseph JOLLY (Vic reg 12895). Birth reg of Wm Jos Jolly 1908 at Warracknabeal, son of Wm Thos Jolly & Ada May (Craythorn) (Vic reg 7571). Death reg of William Joseph Jolly 1967 at Woomelang, son of William Jolly & Ada (Craythorne); age 59 (Vic reg 24843). Birth reg 1915 at Warracknabeal, Vic, son of Herbt Ernt & Mary Cath Mcdonald (Mckinnon) (Vic reg 8147). Death reg of Keith Byron 1981 at Warracknabeal, son of Herbert Erne Byron & Mary Cather; age 66 (Vic reg 26559). Born 1917 at Warracknabeal, Vic (Vic reg 25188). Born 1919 at Warracknabeal, Vic (Vic reg 31495). Born 1908 at Watchem, Victoria (Vic reg 15633). Marr reg 1942 in Victoria of Richd Hy Merrett to Shirley BLAIR (Vic reg 5369). Born 1909 at Watchem, Victoria (Vic reg 31668). Marr reg 1940 in Victoria of Malcolm Fredk Merrett to Phyllis Jean TOOTH (Vic reg 17860). She was born 19 Aug 1920 in Qld (ref FamilySearch). Death of Malcolm Frederick Merrett 13 Apr 1943 in Queensland in WW2, son of Richard Ackland & Catherine McKinnon (Qld reg 1943/001676 page 1591). "MERRETT, L.A.C. MALCOLM FREDERICK, 9710. R.A.A.F. 13th April, 1943. Age 33. Son of Richard Ackland Merrett and Catherine Merrett; husband of Phyllis Jean Merrett, of Ballarat, Victoria. Plot A. Row B. Grave 7." (ref UK Commonwealth War Graves, Cairns Cemetery). See also www.findagrave.com. Phyllis died 3 Sep 2011 in Ballarat (ref FamilySearch). Born 1911 at Watchem, Victoria (Vic reg 24713). Death reg of Amelia Alice Merritt [sic] 1928 at Donald, dau of Richd Ackland Merritt & Cath (Mckinnon) age 16 (Vic reg 1337). Born 1913 at Watchem, Victoria (Vic reg 17703). Marr reg 1937 in Victoria of Marjorie Cath Merrett to Alfred Leslie SHERWELL (Vic reg 4343). Birth reg of Alfd Leslie Sherwell 1905 at Warracknabeal, Vic, son of Alfd Jas Sherwell & Alice Hester (Williamson) (Vic reg 22354). Death reg of Alfred Leslie Sherwell 1983 at Warracknabeal, son of Alfred James Sherwell & Alice Hester (Williamson); born Watchem; age 77 (Vic reg 18296). Born 1918 at Donald, Victoria (Vic reg 10579). Death reg of Elsie May Merrett 1952 at Ballarat, dau of Ackland Richard Merrett and Catherine (Mckinnon); born Donald; age 34 (Vic reg 22532). Born 1917 at Donald, Victoria (Vic reg 11370). He was born 26 Apr 1917 (ref www.findagrave.com). Jessie died 1 Mar 1997 and was buried at Woomelang Cemetery (ref www.findagrave.com). Born 1919 at Woomelang, Victoria (Vic reg 23895). Marr 1951 at Donald to Samuel Walter ROSS (ref FamilySearch). Birth reg of Saml Walt Ross 1903 at Watchem, son of Donald Ross & Emmaretta (Borden) (Vic reg 6983). Death reg of Samuel Walter Ross 1980 at Donald, son of Donald & Emmaretta Ross, age 77 (Vic reg 27521). Lorna died 2009 in Victoria (ref FamilySearch). Birth reg of Austin Robert Craig 1904 in Western Australia, son of Alfred Craig & Daisy Isobel Coburn (WA reg 4815). Marr 1940 at Chatswood, NSW of Austin Robert Craig to Hilda Elizabeth Hall BARRETT (NSW reg 8853). Birth reg of Maurice Coburn Craig 1905 at Ballarat, Victoria, son of Alfd Craig & Daisy Isabel (Coburn) (Vic reg 7793). Marr reg 1929 in Victoria of Maurice Coburn Craig to Ida Lavinia McKAY (Vic reg 12684). Birth reg of Ida Lavinia McKay 1911 at Hotham West, dau of Wm McKay & Mary Eliza (Trimble) (Vic reg 4257). Death reg of Maurice Coburn Craig 1984 at Shepparton, Victoria, son of Alfred Craig & Isabel Daisy, born Ballarat, age 78 (Vic reg 9135). Born 24 Nov 1906 (family source). Birth reg 1907 at Perth, Western Australia (WA reg 107). Died Aug 1972 (ref service). Death reg of Harold Gordon Craig 1972 at Kew, Victoria, son of Alfred Craig & Daisy Isabel (Coburn), age 65 (Vic reg 18583). Harold was crem at Springvale Cem 15 Aug 1972 (ref Springvale online records). Born 5 May 1910 (ref family source) in Western Australia (ref death reg). Birth reg 1910 at Perth, Western Australia (WA reg 737). Death reg of Frances Emma Craig 1984 at Mentone, Victoria, dau of Alfred Craig & Daisy Isabel (Coburn); born Perth, Western Australia, age 73 (Vic reg 8631). Frances was crem at Springvale Cemetery, 24 Apr 1984 (ref Springvale online records). 5. William Alfred D. CRAIG. Birth reg 1913 at Perth, Western Australia (WA reg 1995). Birth reg of Margaret Annie Miller 1908 at Casterton, dau of Walter Miller and May (Craig) (Vic reg 2031). Born 19 Feb 1908 (ref family source). Marr reg 1933 in Victoria of Margt Anne Miller to Allan William John PEADON (Vic reg 1930). They lived at Bombala, NSW. Margaret died 1987 (ref family source). Birth reg of Walter Craig Miller 1909 at Casterton, son of Walter Miller & May (Craig) (Vic reg 9454). Born 17 Mar 1909 (ref family source). Referred to in 1943 at death of his mother as Craig (A.I.F.). Marr 22 Apr 1954 at Scots Pres Church, Casterton of Walter Craig Miller to Marie Olwen DAVIS (ref family source). Walter died 3 Sep 1997 at Coleraine, Victoria (ref family source). Birth reg of Elsa May Miller 1910 at Casterton, dau of Walter Miller & May (Craig) (Vic reg 9801). Born 5 May 1910 (ref family source). Marr 1936 in Victoria of Elsa May Miller to Richard Leslie WILLING (Vic reg 14207). Birth reg of Bertha Miller 1913 at Casterton, dau of Walter Miller & May (Craig) (Vic reg 2092). Death reg of Bertha Miller 1959 at Wendouree, dau of Walter Miller & May (Craig), born Casterton, age 45 (Vic reg 22127). Buried Fawkner 5 Jan 1959 (ref Fawkner online records). Born 17 Feb 1917 at Casterton (family source). Referred to in 1943 at death of his mother as Cyril (A.I.F.). Death reg of Cyril Gordan [sic] Miller 1984 at Hawksburn, Vic, son of Walter Miller & May (Craig); born Casterton; age 67 (Vic reg 22898). Crem 24 Sep 1984 at Springvale Cem (ref Springvale online records). Birth reg 1906 at Kew, dau of Robert Walt Davies Craig & Pearl Josine (Foley) (Vic reg 11620). Death reg of Thelma Mary Margt CRAIG LOVE [sic] 1930 at Kew, dau of Robt Walt David Craig Love and Pearl Josine Frances (Foley); age 24 (Vic reg 5812). Birth reg 1908 at Kew, son of Robt Walt David Craig & Pearl Josine (Foley) (Vic reg 28026). Death reg of Jno Wm Craig 1909 at Kew, son of Robt Walt David Craig & Pearl (Foley), age 3 (prob 3 months) (Vic reg 1941). Born 1918 at Footscray (Vic reg 11364). Birth reg of Thos Reginald Draper 1915 at Yea, Vic, son of Chas Draper & Elsie May (Hicks) (Vic reg 17847). Born 5 May 1915 (ref family source). Thomas served in WW2 and was killed in action. Born 10 Jul 1916 at Yea (Vic reg 25923 and family source). Marr reg 1942 at Burwood, Victoria of Isabel Mary Draper to Neil Stuart PAYNE (Vic reg 18383). Birth reg of Neil Stuart Payne 1909 at Burwood, son of Wm Robt Payne & Grace Isabella (Lowen) (Vic reg 8837). He was born 18 May 1909 (ref family source). Neil died 16 Apr 1998 at Wangaratta, Vic (ref family source). Isabel died 15 Jun 2000 at Wangaratta, Vic (ref family source). Born 11 Apr 1918 at Yea (Vic reg 16107 and family source). Died 21 Aug 1920 at Yea aged 2 (Vic reg 12781 and family source). Born 1920 at Yea (Vic reg 8485). Marr 12 Jun 1948 to Helen Baxter GRAY (ref family source). Charles died 6 Jan 1997 at Leongatha, Vic (ref family source). Born 1911 at Broadmeadows, Victoria (Vic reg 9116). Died 1919 at Footscray, Victoria aged 8 (Vic reg 17247). Born 1914 at Footscray, Victoria (Vic reg 22257). Born 19 Aug 1921 at Kingsville, Victoria (ref Army record). Died 25 Jan 1944 in WW2 at Bomana, PNG, aged 22. Born 1911 at Carlton, Victoria (Vic reg 1723). Died 1947 at Thornbury, Victoria (Vic reg 13562). Buried 19 Dec 1947 at Coburg Cemetery. Born 1909 at Carlton, Victoria (Vic reg 1607). Birth reg of Mary Veronica Kathleen Grace Cockerell 1914 at Clifton Hill, dau of James Edward Mason Cockerell and Mary Ellen May Veronica (Claffey) (Vic reg 11418). Marr reg 1930 in Victoria of Mary Vernica Kleen Grace Cockerell to Frederick John CROCKER (Vic reg 5437). No explanation known for this marriage record when she was 16. Marr reg 1941 in Victoria of Mary Veronica Cockerell to Raymond Edment JAMES (Vic reg 920). Birth reg of Raymond Edmond JAMES 1914 at Richmond, son of Frederick James & Louisa Mary (Bradley) (Vic reg 25935). In the Electoral Rolls, it is spelt Edmond or Edmund. In the marriage and death it is spelt Edment. Mary Veronica Kathleen James died 20 Oct 1985, buried 24 Oct 1985 at Fawkner (ref Fawkner online records). Death reg of Mary Veronica Kathleen Grace James 1985 at Essendon, dau of James Mason Cockerell & May Ellen (Claffy), born Melbourne, age 71 (Vic reg 26200). Raymond Edment James died 10 Apr 1987, buried 13 Apr 1987 at Fawkner (ref Fawkner online records). Death reg of Raymond Edment James 1987 at Fitzroy North, son of Frederick James and Louise (Bradley), born Richmond, age 72 (Vic reg 8374). Born 1916 in New Zealand. Birth record of Kathleen Irene Scott, dau of John Robert & Jean Scott (NZ reg 1948/111649 which comes up in the year 1916). Born 1918 in New Zealand. Marr 1944 in New Zealand to Joyce Marguerite RAMAGE (ref family source). Desmond was one of the most decorated pilots in the RNZAF. Death reg of Desmond James Scott 1997 in New Zealand, birth date 11 Sep 1918, age 79 years (NZ reg 1997/43490). Born 1916 at Carlton, Victoria (Vic reg 19045)..
Marr reg 1938 in Victoria of Linda Athol Cockerell to Wilbur Beith FRY (Vic reg 1837). Wilbur (Bill) died 1990 (family source). Born 1918 at Coburg, Victoria (Vic reg 10164). Marr reg 1940 in Victoria of Fredk John Cockrell to Yvonne Paula FRY (Vic reg 13105). She was born 1921 in Victoria (ref family source). Death reg of Frederick John Cockerell 1971 at Parkville, son of Frederick Si Cockerell & Lillian (Pringle); age 53 (Vic reg 26361). Crem 1 Nov 1971 at Springvale Cem (ref Springvale online records). Death of Yvonne 2001 at Proserpine, Qld (ref family source). Marr reg 1942 in Victoria of Florence Lillian Cockerell to James William GREIG (Vic reg 15160). James died 6 Jul 1986, buried 9 Jul 1986 at Fawkner cem (ref Fawkner online records). Death reg of William George Cockerell 1986 at Newtown, Vic, son of Frederick Sinclair Cockerell & Lily (Pringle); born Glenroy; age 63 (Vic reg 14325). Born 1927 at North Fitzroy, Victoria (Vic reg 196). Born 8 Nov 1927, died 19 Jun 1993. Fawkner crem, service 22 Jun 1993. Born 1930 at Pascoe Vale, Victoria. Born 30 Mar 1930 died 11 May 2004, burial service 14 May 2004 at Fawkner. Born 16 Dec 1906 at Whittlesea (Vic reg 30766 and family source). Marr reg 1929 in Victoria of Evelyn Elizth Welsh to Henry Charles HOWES (Vic reg 8343). Birth reg of Henry Charles Howes 1904 at Mt Egerton, Vic, son of Laurence Petitot Howes & Sarah Jane (Thomas) (Vic reg 4834). Death reg of Evelyn Elizabeth Howes 1981 at Canterbury, dau of John Welsh and Evelyn Eli Welsh; age 74 (Vic reg 28402). Evelyn Elizabeth Howes, crem 23 Nov 1981 at Springvale Cem (ref Springvale records online). Death reg of Henry Charles Howes 1982 at Box Hill, unknown parents, age 78 (Vic reg 30459). Henry Charles Howes, crem 17 Sep 1982 at Springvale Cem (ref Springvale records online). Born 16 Sep 1908 at Whittlesea, Vic (Vic reg 31048 and family source). Marr reg 1929 in Victoria of Harold Jno Burkett Welsh to Nellie Eva LE PAGE (Vic reg 9305). Birth reg of Nellie Eva Le Page 1909 at Yan Yean, dau of Arthur John Le Page & Eva May (Connell) (Vic reg 23981). Death reg of Nellie Eva Welsh 1980 at Dandenong, dau of Arthur & Eva Mary Le Page; age 71 (Vic reg 28266). Death reg of Harold John Burkett Welsh 1984 at Foster, son of Donald John Welsh & Evelyn Elizabeth (Cockerell); born Yan Yean; age 75 (Vic reg 20838). Born 15 Feb 1911 at Whittlesea, Vic (Vic reg 7807 and cemetery record). Marr reg 1931 in Victoria of Alan Roy Welsh to Evelyn LEIPER (Vic reg 439). She was born c1912, birth reg not found. Death reg of Eveline Welsh 1979 at Melbourne, dau of Robert Leiper & Susan (Christie); age 67 (Vic reg 10508). Death reg of Allan Roy Welsh 1980 at Korumburra, son of John & Evelyn Eli Welsh; age 69 (Vic reg 26205). Allan Roy Welsh born 15 Feb 1911, died 31 Oct 1980, service 3 Nov 1980, crem at Springvale (ref Springvale online records). Died 8 Sep 1914 at Whittlesea (Vic reg 12102 and family source). Buried Yan Yean Cem, age 4 months. Born 17 Aug 1915 at Whittlesea (Vic reg 26429 and family source). Marr reg 1941 in Victoria of Doris Jean Welsh to Stanley Gordon PIKE (Vic reg 19497). The marriage was 1 Nov 1941 at Preston (ref family source). BIrth reg of Stanley Gordon Pike 1915 at Preston, son of George Henry Pike & Emma (Hawkins) (Vic reg 24826). Born 2 Jul 1918 at Whittlesea (Vic reg 23937). Marr reg 1942 in Victoria of Ronald Neal Welsh to Williamina FINDLAY (Vic reg 3038). Death reg of Ronald Neal Welsh 1969 at Preston, son of John Welsh & Evelyn Eli (Cockerell); age 50 (Vic reg 16476). Ronald Neal Walsh died 5 Mar 1969, service 7 Mar 1969, Church of England, age 50, crem Springvale Cemetery (ref Springvale online records). Born 11 Dec 1915 at Apollo Bay (Vic reg 26792). Marr reg 1937 in Victoria of Alice Evelyn Cockerell to Robert Edw. GAULT (Vic reg 7027). The marriage was 5 Jun 1937 (ref family source). Birth reg of Robert Edwin GAULT 1899 at York, Western Australia, son of John Gault & Elizabeth Wilkie (Ancestry, reg 5286). Robert used the name Robert Edward in Electoral Rolls and his death registration. Death reg of Robert Edward Gault 1986 in Prahran, son of John Gault & Elizabeth (Wilkie), born York, Western Australia, age 87 (Vic reg 25425). Robert was crem 24 Oct 1986 at Springvale (ref Springvale online records). Born 21 Jul 1917 at Apollo Bay (Vic reg 17014). Marr reg 1941 in Victoria of Gertrude May Cockerell to William Henry SMITH (Vic reg 19617). The marriage was 20 Dec 1941 (ref family source). Born 25 Aug 1923 at Apollo Bay (ref family source). Death reg of Leslie James Cockerell 1985 at Apollo Bay, son of John William Grierson Cockerell & Annie Rose (Cawood); born Apollo Bay; age 61 (Vic reg 5227). He died 22 Feb 1985 and was buried at Apollo Bay Cem (ref family source). Born 11 Jan 1925 at Apollo Bay (ref family source). Death reg of Robert Linton Cockerell 1967 at "DIXI", son of John William Cockerell & Annie (Carwood); age 41 (Vic reg 9233). He died 3 March 1967 and was buried at Apollo Bay (ref family source). Birth reg 1908 at Krambruk, Vic, son of Mary Emma Cockerell (Vic reg 4576). He was born 17 Jan 1908 (ref WW2 army records). Marr reg 1938 in Victoria of William Henry Cockerell to Lilian WYNNE (Vic reg 10848). William served in the Australian Army in WW2, Service nr VX35972. Born 6 Jun 1913 at Krambruk (Vic reg 13903 and family source). Death reg of Gladys Mary Cawood 1921 at Melbourne East, dau of Wm Jno Cawood & Mary Emma (Cockerell); age 7 (Vic reg 6699). She died 29 May 1921 (ref family source). Born 31 Oct 1914 at Krambruk (Vic reg 32655 and family source). Thomas served in the Australian Army in WW2, Service nr VX22024. Death reg of Thomas William Cawood 1987 at Colac, son of William John Cawood & Mary Emma (Cockerell); age 71 (Vic reg 23229). Born 20 Feb 1916 at Apollo Bay, Victoria (ref www.findagrave.com). Death reg of Roy Stanley Kenneady 1986 at Parkville, son of Victor Kenneady & Elsie (Marriner); born Leongatha; age 75 (Vic reg 6858), buried at Apollo Bay Cemetery (ref www.findagrave.com). He died 11 Mar 1986 (ref www.findagrave.com but note that the death registration is at Parkville). Born 29 Sep 1917 at Apollo Bay (ref family source). Born 29 Aug 1924 at Apollo Bay (ref family source). Marr 9 Jun 1947 to Robert DELANEY (ref family source). See 1949 Electoral Roll in South Melbourne. Death reg of Madge Winsome Delaney 1951 at Carlton, dau of Thomas Cawood and Rose Winsome (unknown); born Apollo Bay; age 26 (Vic reg 4871). She died 19 Apr 1951 (ref family source). Born 8 Dec 1916 at Apollo Bay, Victoria (Vic reg 28 of 1917 and family source). Born 28 May 1925 at Colac, Victoria (Vic reg 11902 and family source). Died 31 Jan 1992 in Victoria (Vic reg 9887 and family source). Born 17 Mar 1929 in Victoria (ref family source). Died 12 Nov 2007, buried at Colac (ref family source). Birth reg of Olive Cockerell 1913 at South Yarra, dau of May (Cockerell) (Vic reg 35168). Died 10 Nov 1992 age 78, crem 13 Nov 1992 at Fawkner Crem (ref Fawkner online records). Birth reg 1913 at Yan Yean, Vic (Vic reg 27364). Birth reg 1916 at Clifton Hill, Vic (Vic reg 28299). Birth reg 1918 at Northcote, Vic (Vic reg 22064). Marr reg 1934 in Victoria of Jno David Fran Pasmore Edwards to Emily Margaret NELSON (Vic reg 13244). Birth reg of Emily Margt Nelson 1913 at Walhalla, dau of Jno Thos Nelson & Alberta Isabell (Earles) (Vic reg 35736). She was born 5 Oct 1913 (ref family source). Death reg of John David Francis Passmore Edwards 1951 at Parkville, son of John David [sic] Francis Passmore Edwards & Daisy Louisa (Streeter); born Maffra; age 39 (Vic reg 11743). Emily died 1997 (ref family source). Born 23 Apr 1913. Birth reg 1913 at Maffra (Vic reg 14153). Marr reg 1942 in Victoria of Wm Passmore Edwards to Christina Nellie DAY (Vic reg 20340). Death reg of William Passmore Edwards 1969 at Coburg, son of John Thomas Edwards & Daisy Louis (Streeter); age 50 (Vic reg 12662). Christina died 1996 (ref family source). Born 19 Jan 1928 at Northcote. No reg number. Death reg of Beryl Passmore Edwards 1949 at Ivanhoe East, dau of John Thomas Passmore Edwards & Daisy Louisa (Streeter); born Northcote; age 19 (Vic reg 1060). She died of a drowning accident on 27 Dec 1948 (ref Trove, many newspaper notices). Birth reg 1908 at Leongatha (Vic reg 12651). Birth reg 1909 at Leongatha (Vic reg 28695). Death reg of William Allan Edward Nelson 1926 at Leongatha, son of Allan Begg Nelson & Rubina (Edwards0; age 16 (Vic reg 6045). Birth reg 1911 at Leongatha (Vic reg 12804). Marr reg 1934 at Waverley, New South Wales of Betsy K J Nelson to Francis B. HUTCHINGS (ref NSW reg 3703). Birth reg 1914 at Leongatha (Vic reg 14215). Marr reg 1934 at Waverley, New South Wales of Jean P. Nelson to Henry F. ELTON (ref NSW reg 14033). Born 20 Jun 1912, birth reg 1912 at Meeniyan (Vic reg 22225). Marr reg 1937 in Victoria of Harry Richd How to Gertrude Florence FURZE (Vic reg 3232). Born 16 Apr 1914, birth reg 1914 at Meeniyan (Vic reg 14580), twin. Born 16 Apr 1914, birth reg 1914 at Meeniyan (Vic reg 14581), twin. Marr reg 1934 in Victoria of Jean Christian How to Arthur SPARKES (Vic reg 7304). Jean died 26 Aug 1998 (ref family source). Born 10 Aug 1915, birth reg 1915 at Meeniyan (Vic reg 23374). Sheila died 26 Jun 1982 in Melbourne (ref family source). Born 27 Jan 1918 (ref family source). Marr 1942 in Victoria of Lyla Mavis How to Cecil Kelvin MORRISON (Vic reg 7284). Lyla died 26 Aug 1998 (ref family source). Born 15 Feb 1917 (ref family source). Born Apollo Bay (ref death reg). Death reg of William Ronald George Edwards 1985 at Reservoir, born Apollo Bay, age 68 (Vic reg 12291). Died 11 May 1985 (ref family source). Born 12 Jan 1919 (ref family source). Died 20 Nov 1980 (ref family source). Born 1 Jul 1919 at Leongatha, Victoria. Married 10 May 1941 to John William Davies SYMONS. He was born in 1912 and died in 1992. Born 9 Sep 1921 at Leongatha, Victoria. Died 27 Jun 1933 at Leongatha age 11.